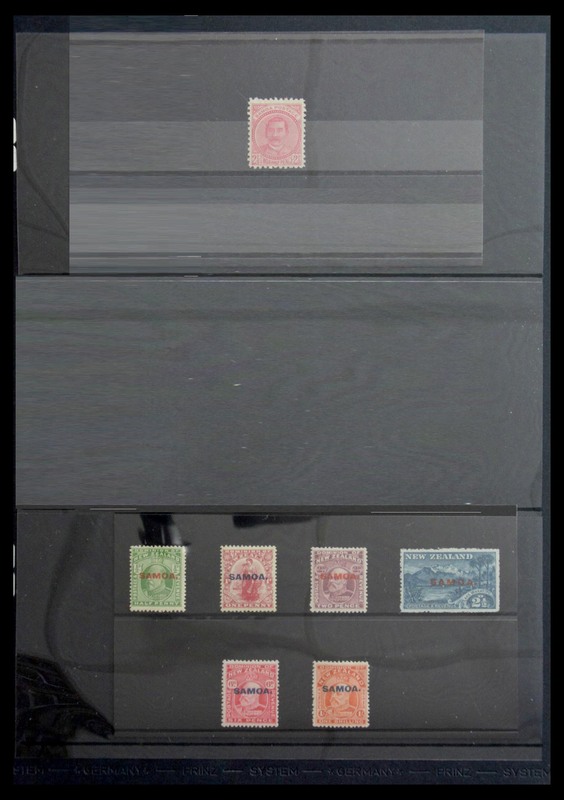 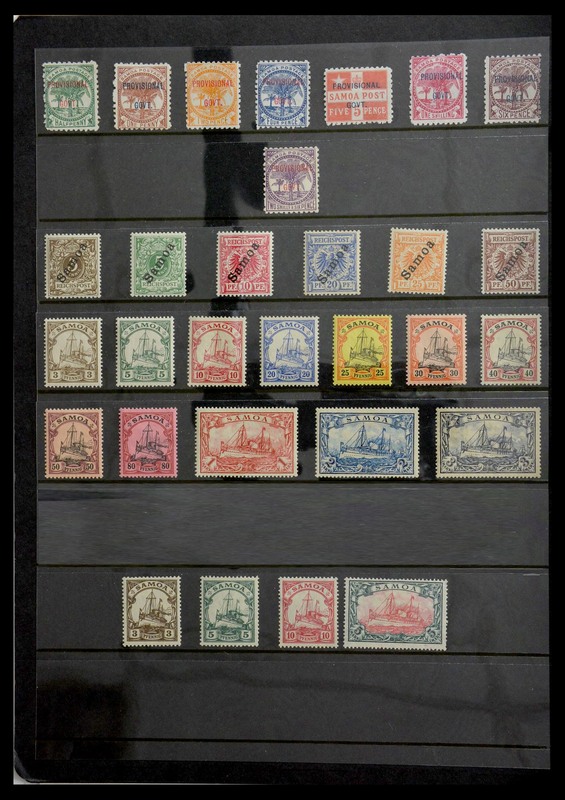 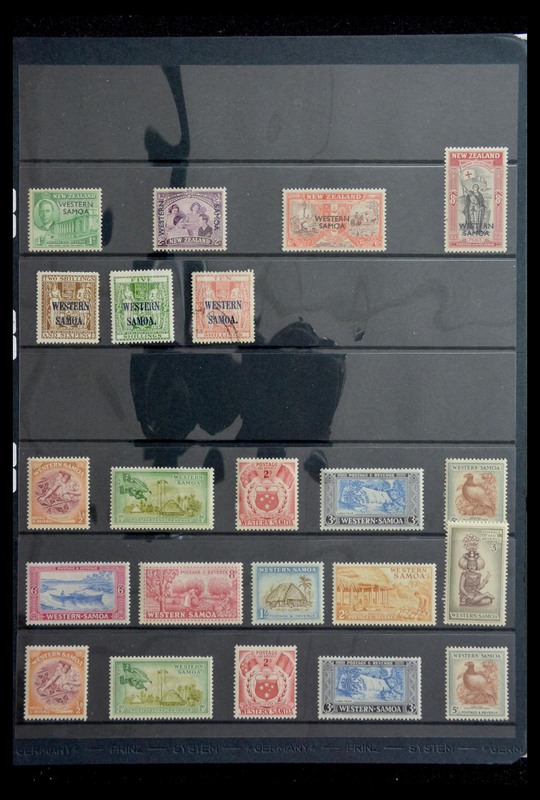 31380 postfrisch (never hinged) ** ungebraucht (hinged) * 1909/1952, a splendid mint collection on stockpages, well sorted throughout incl. 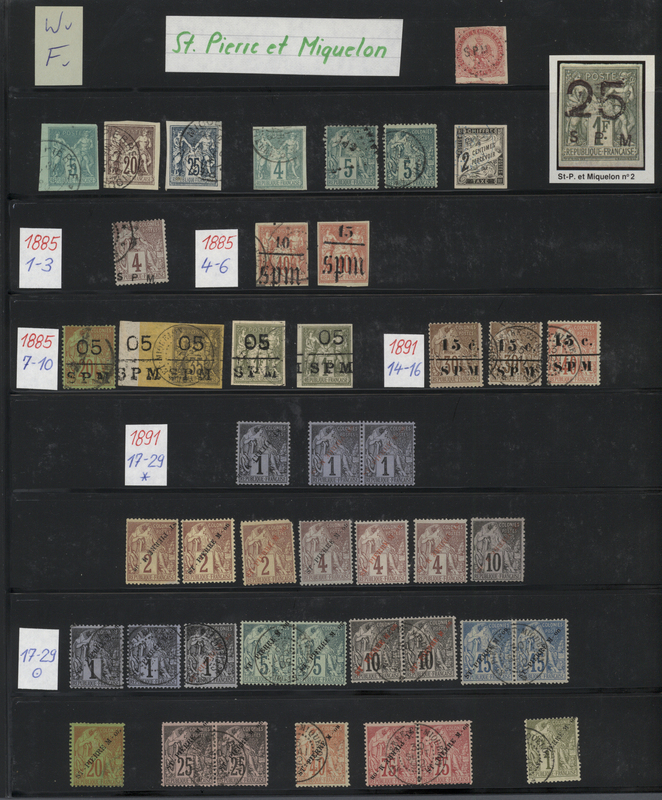 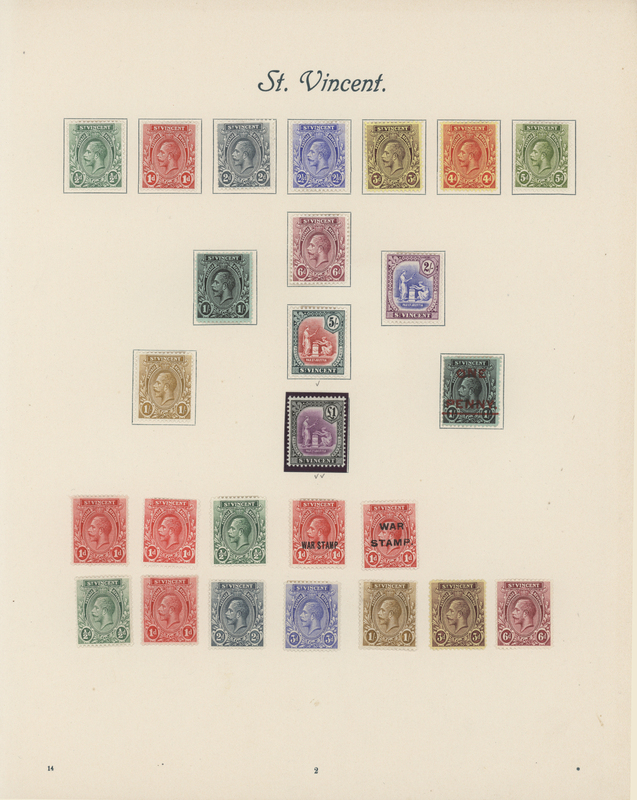 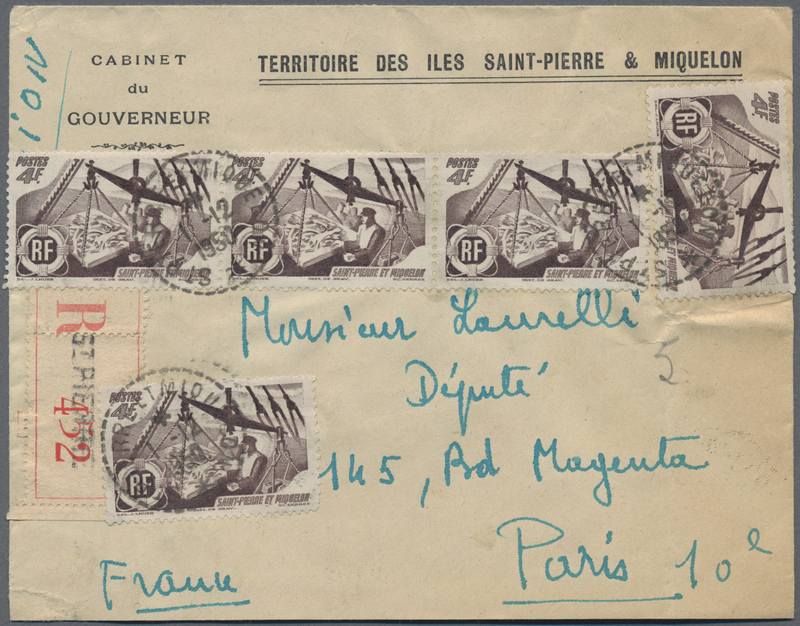 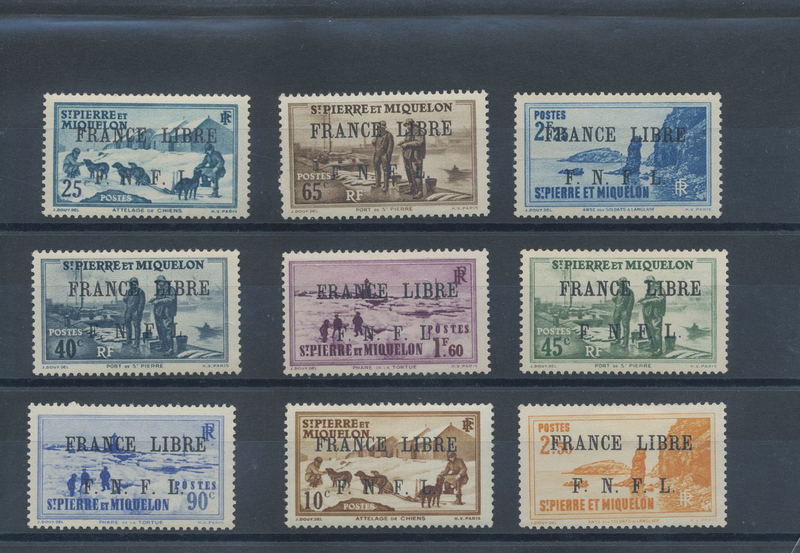 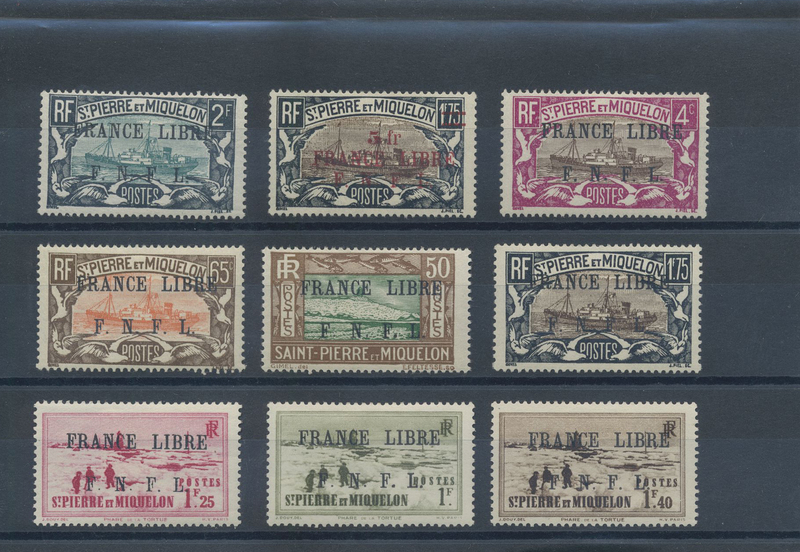 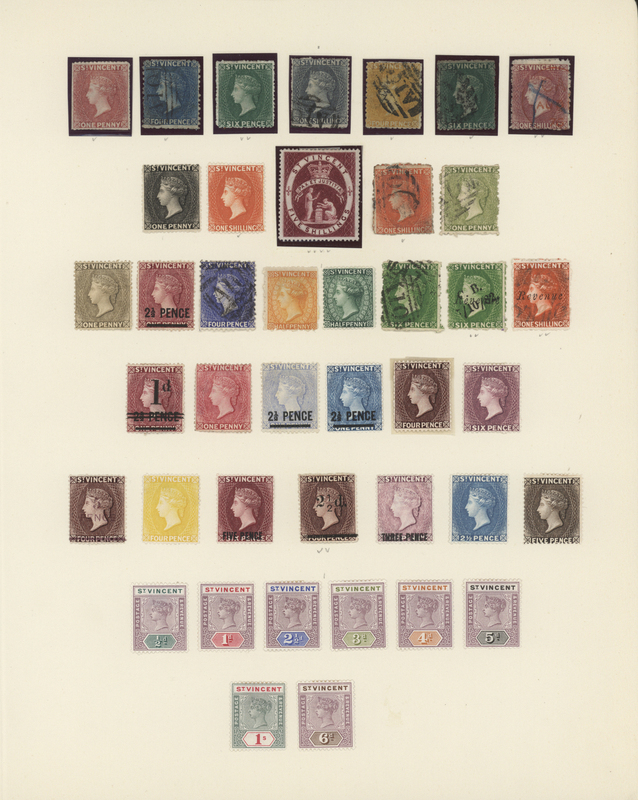 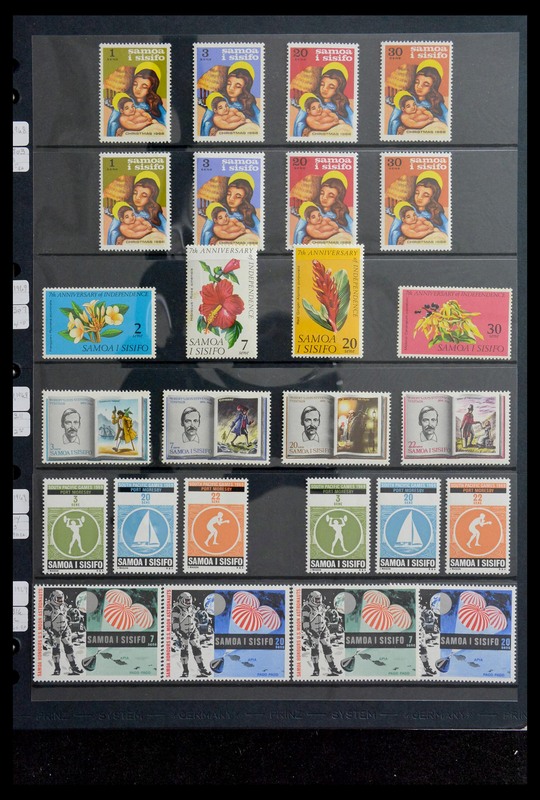 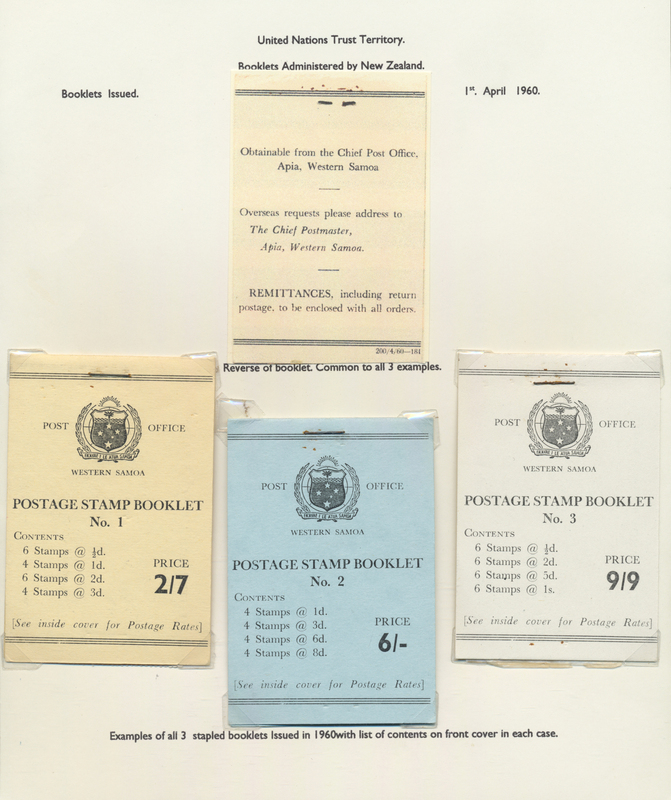 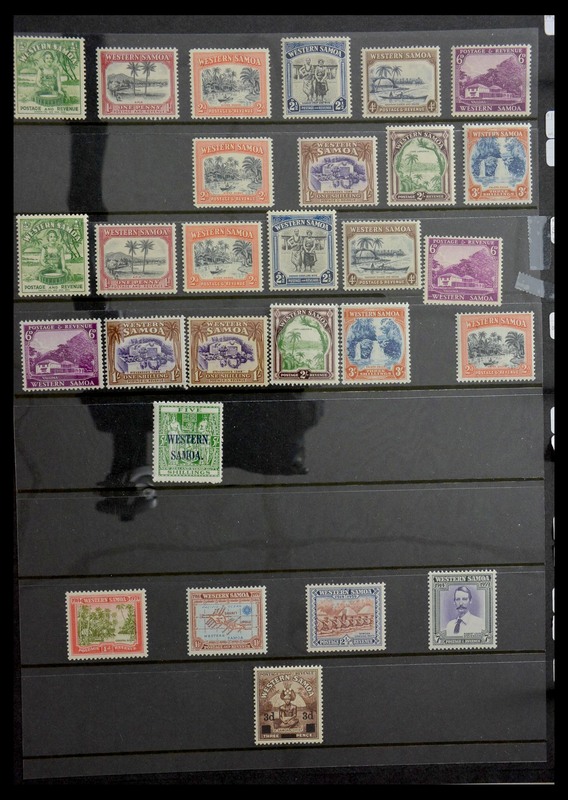 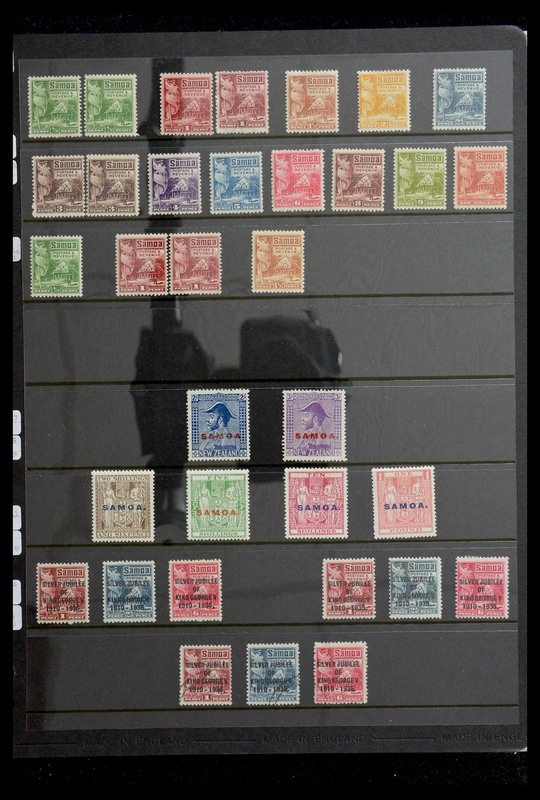 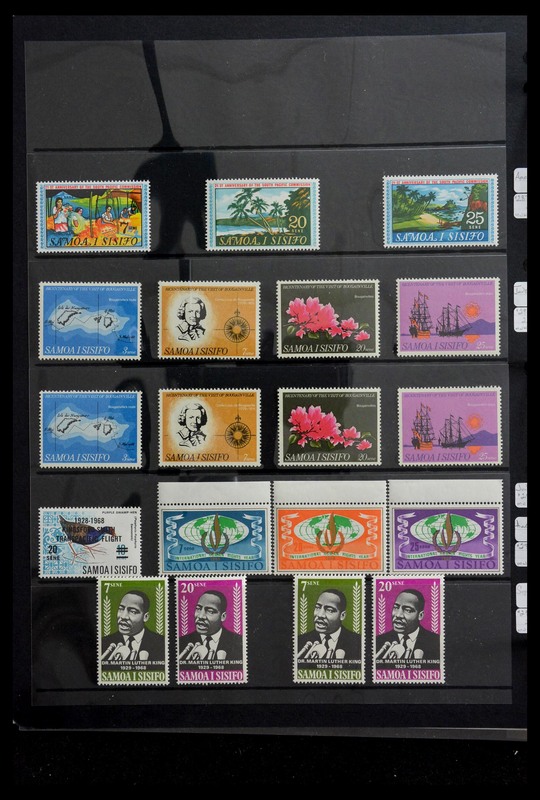 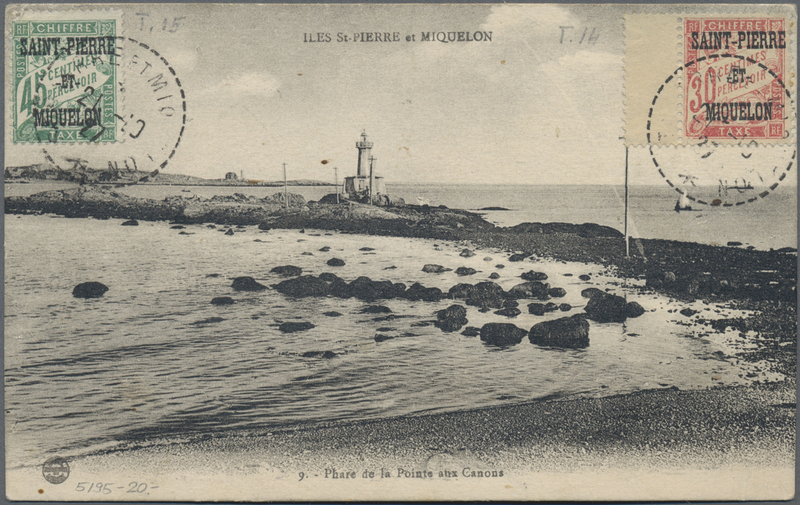 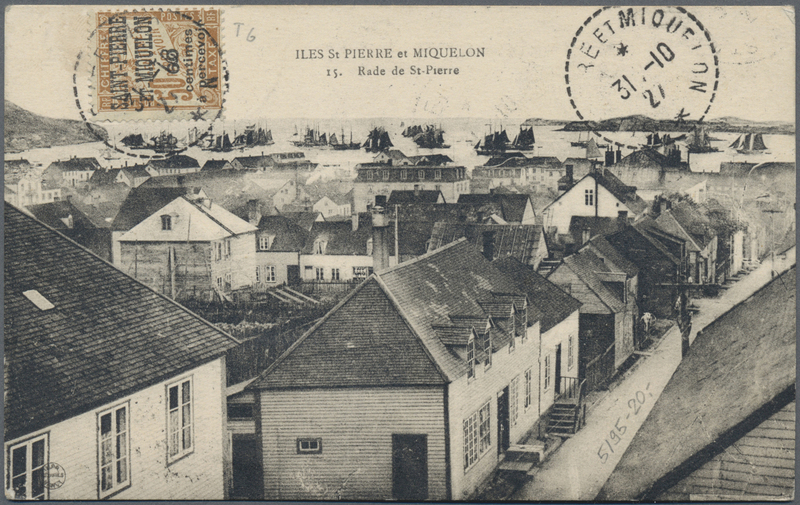 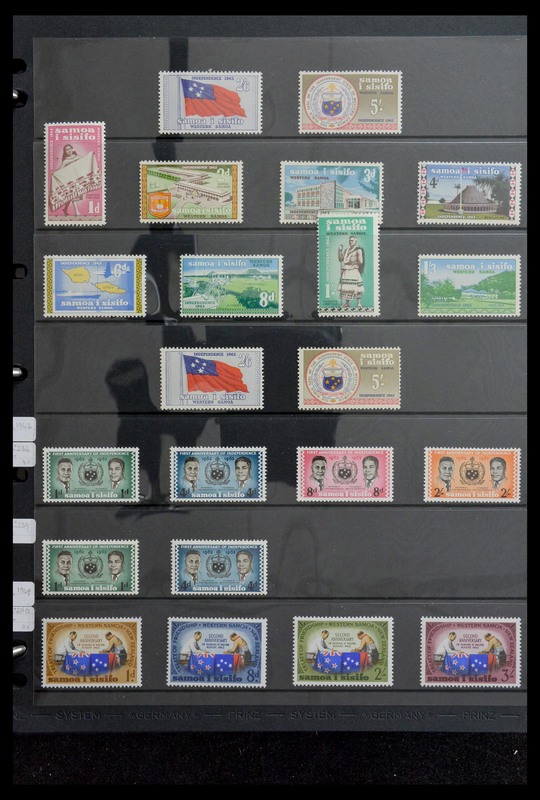 better issues like 1932 Pictorials, 1934 Cartier overprints and good part of "FRANCE LIBRE" overprints incl. 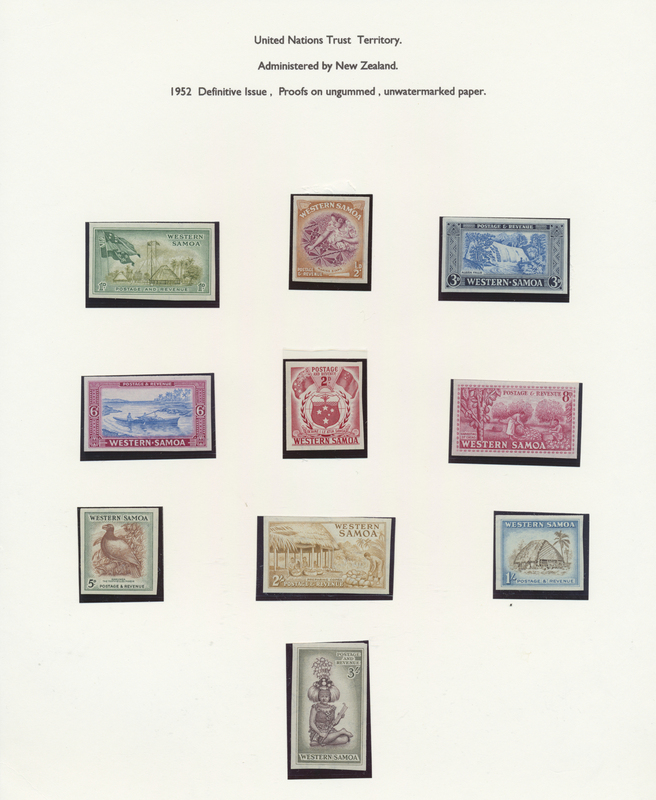 better pieces. 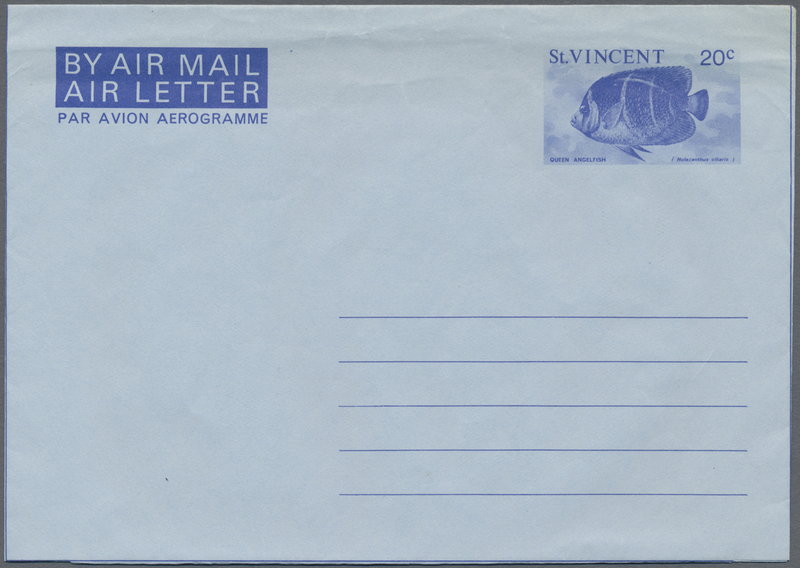 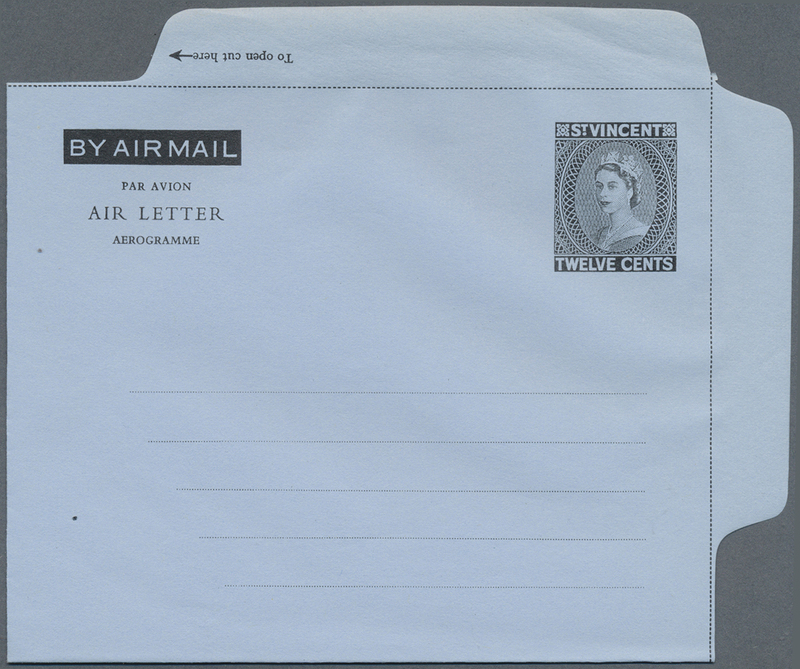 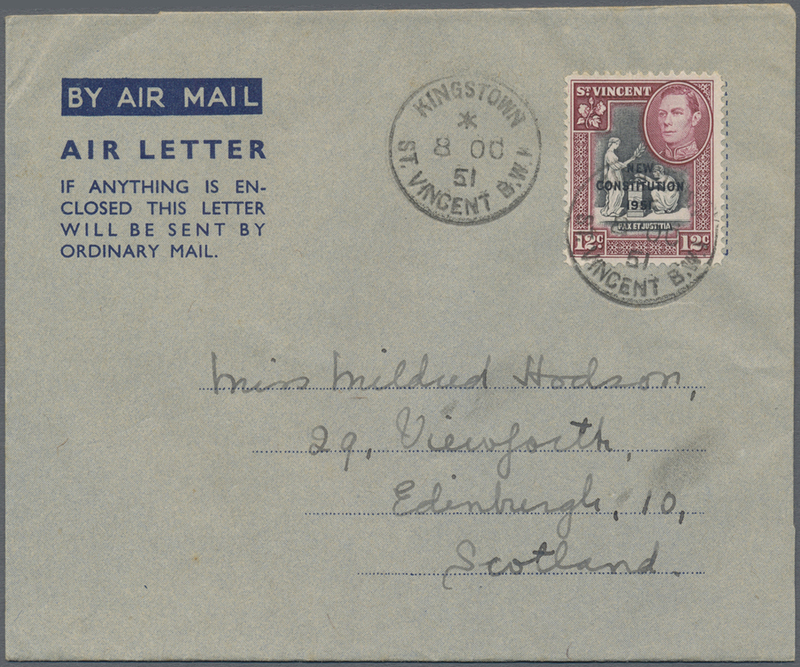 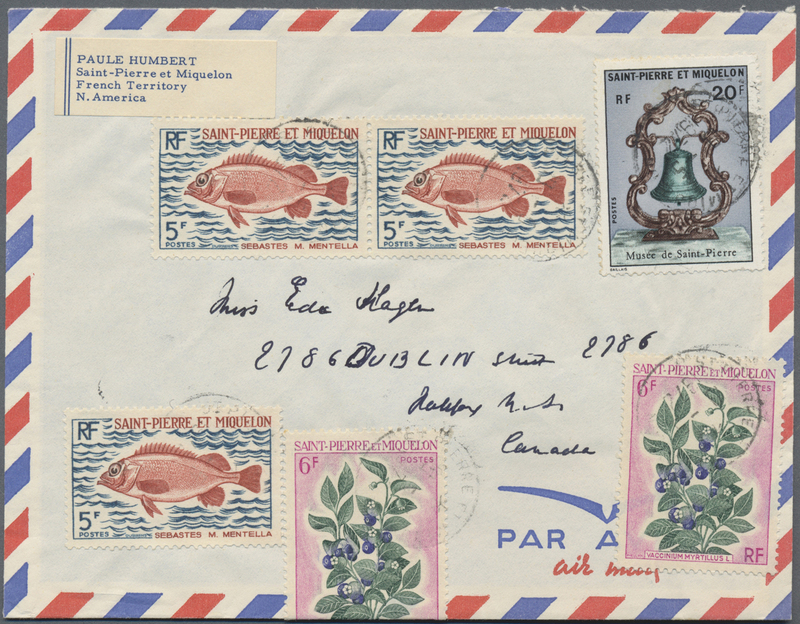 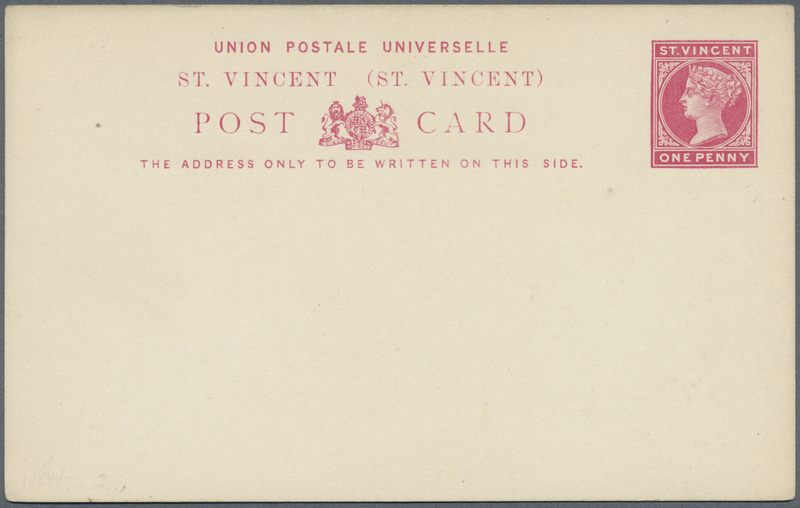 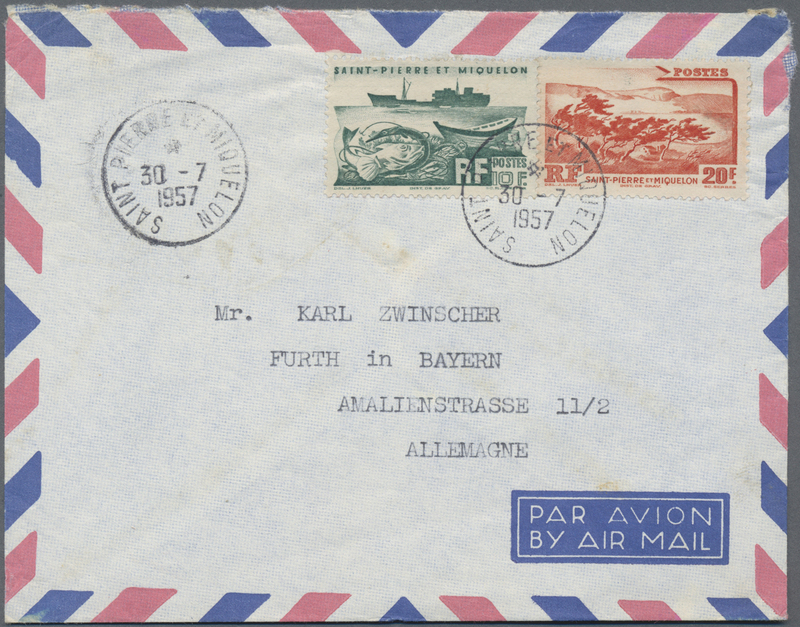 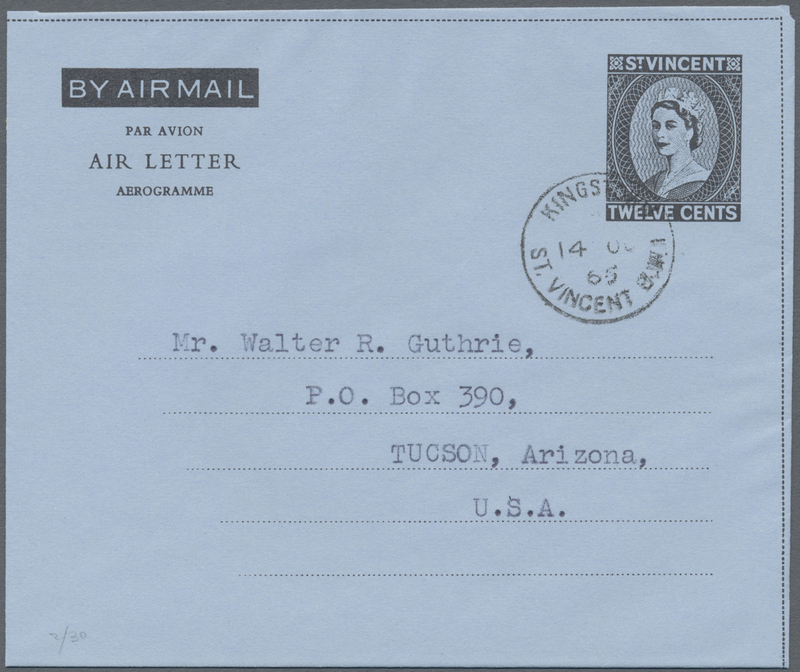 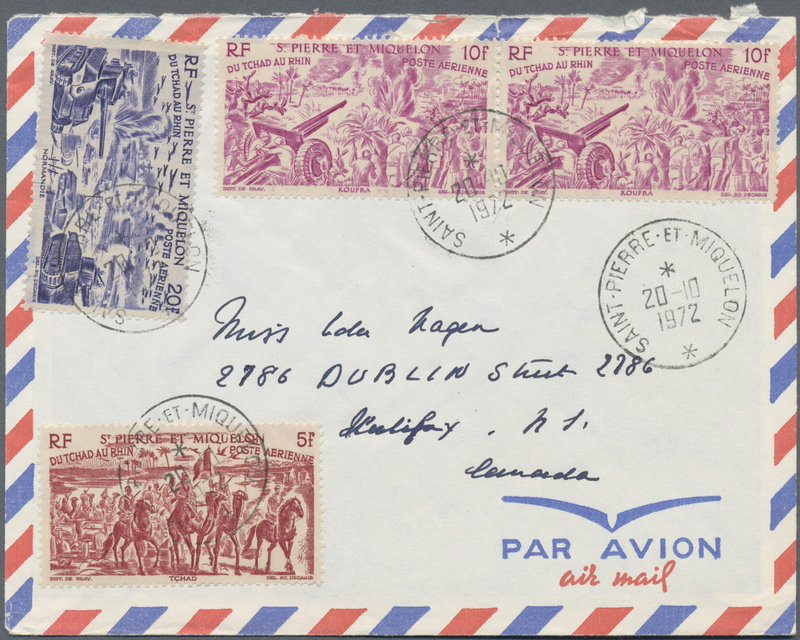 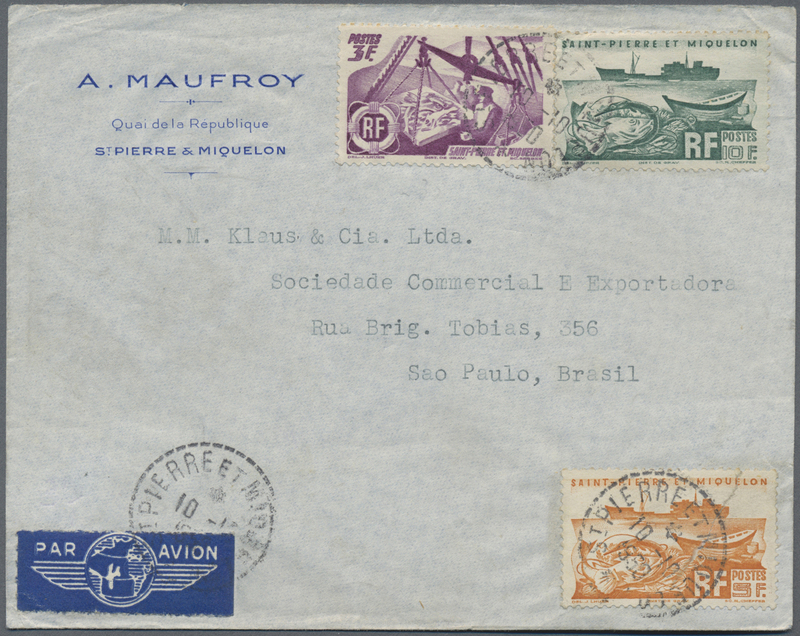 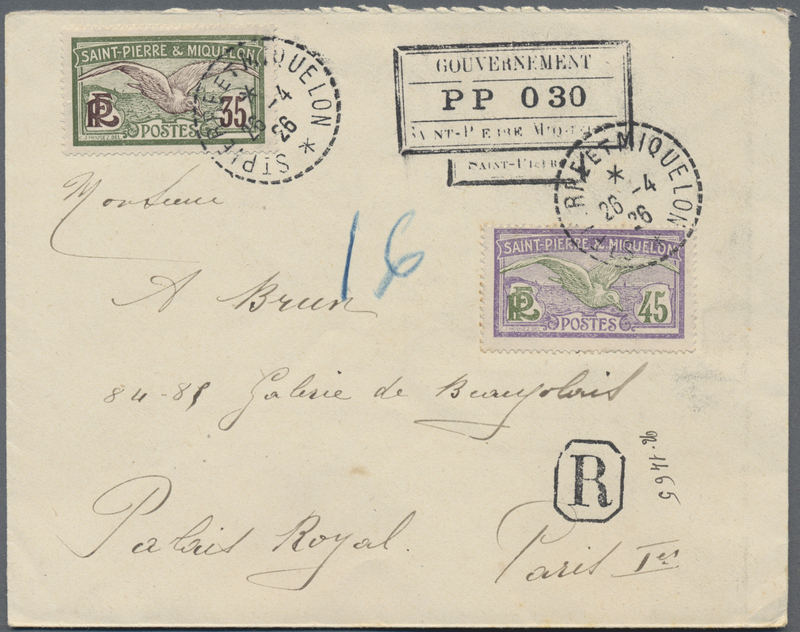 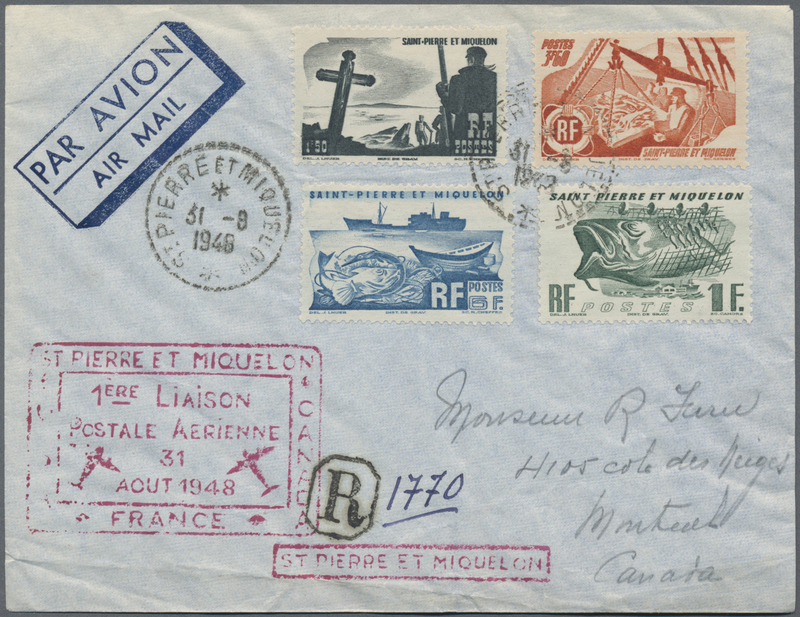 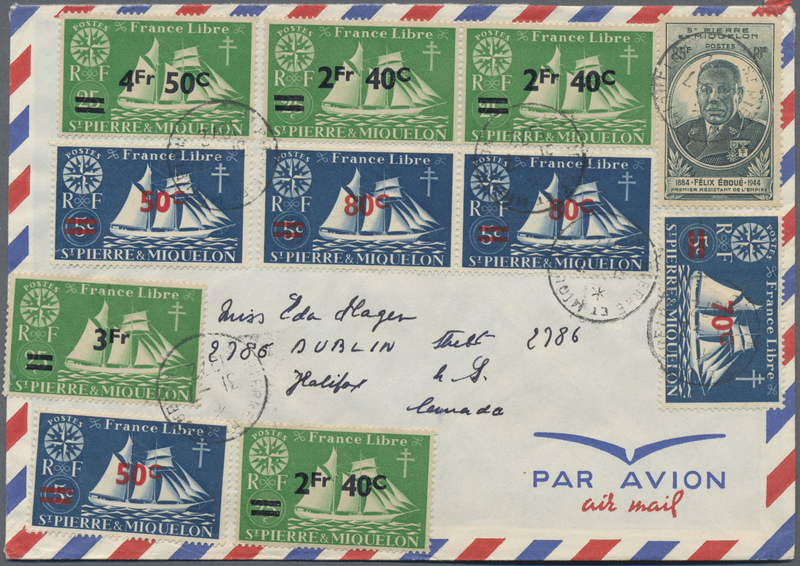 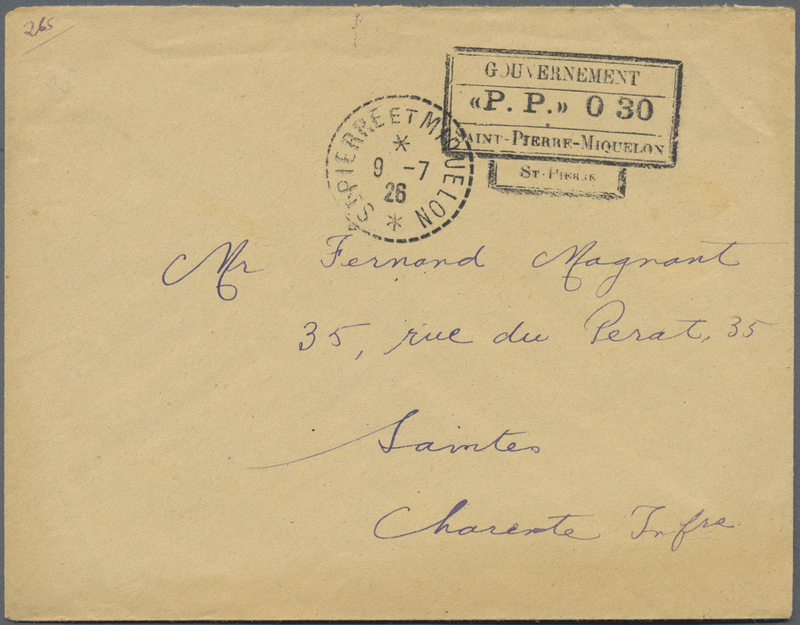 31382 Brief (cover) 1926, five covers to France with cancellations "P.P. 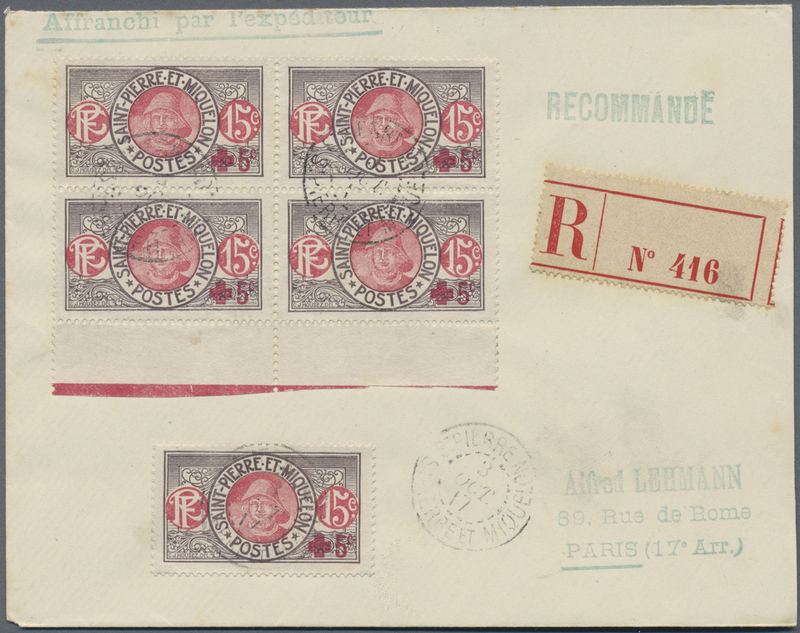 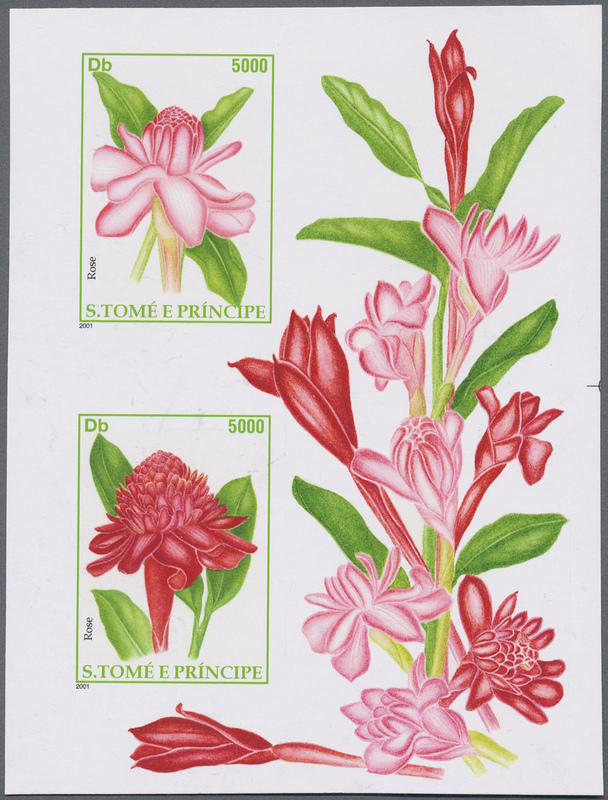 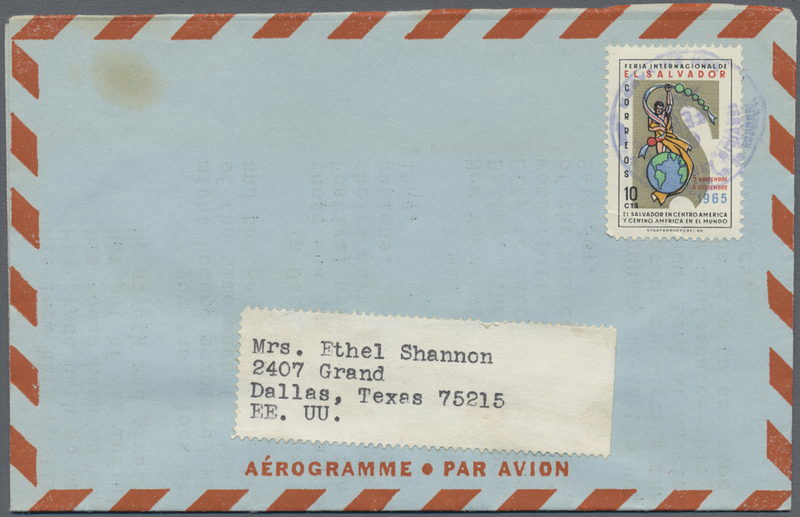 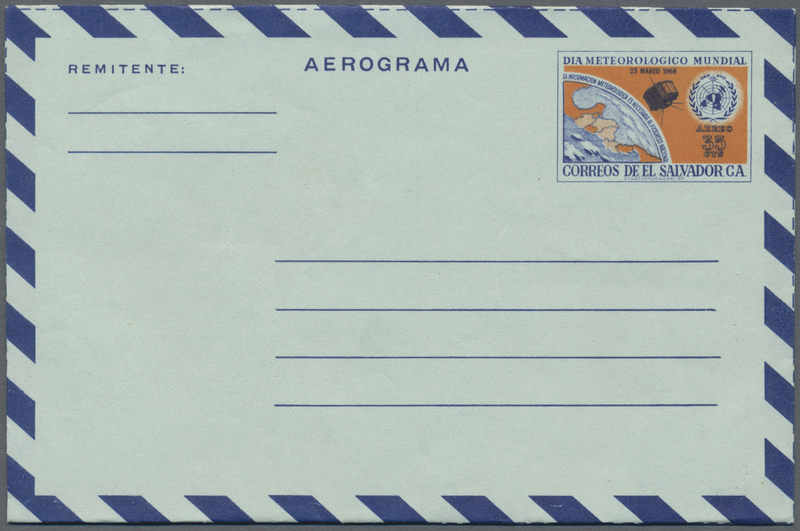 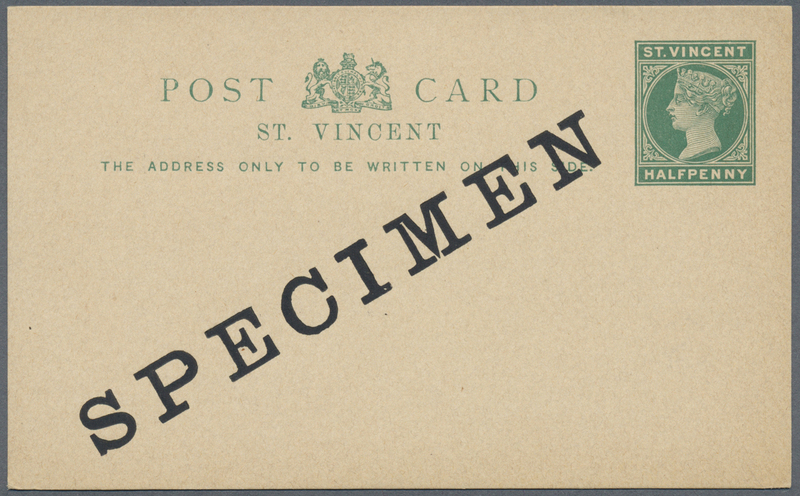 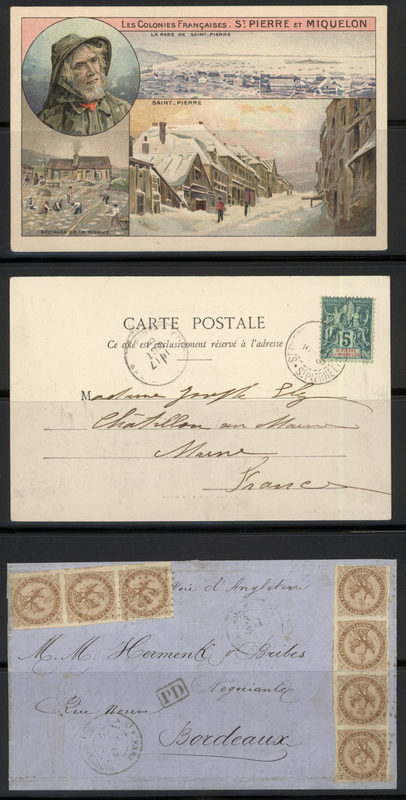 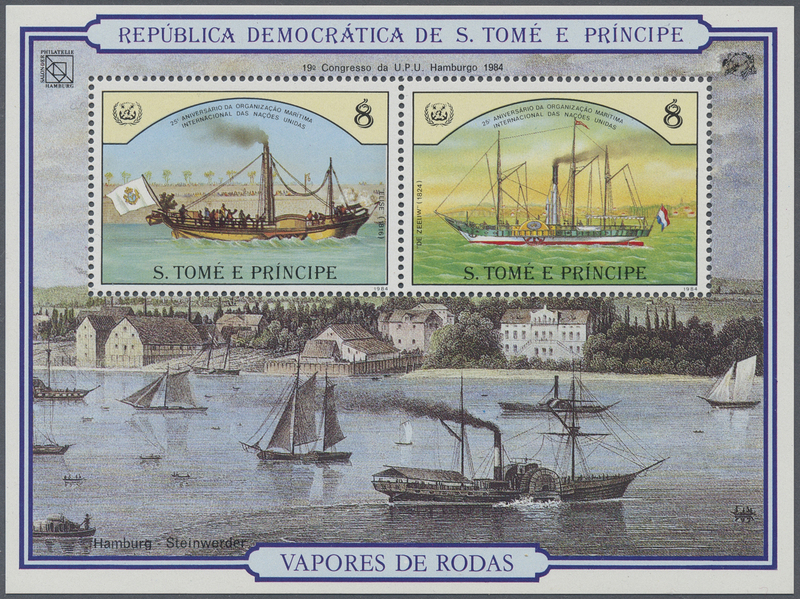 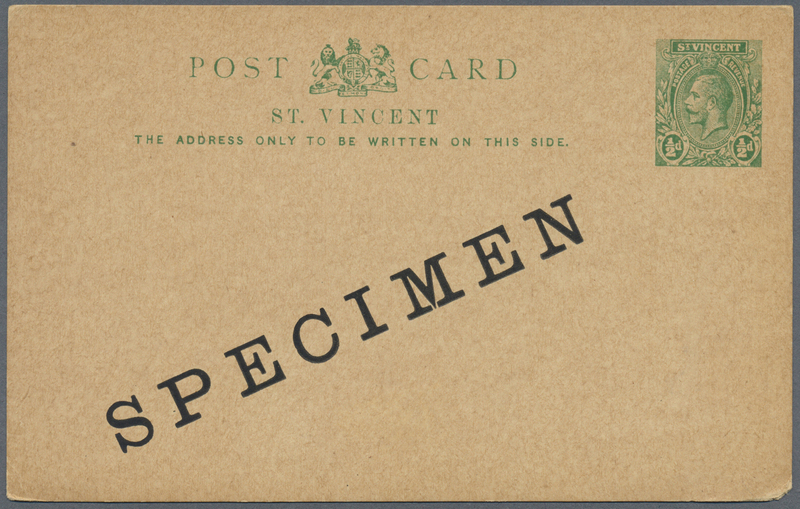 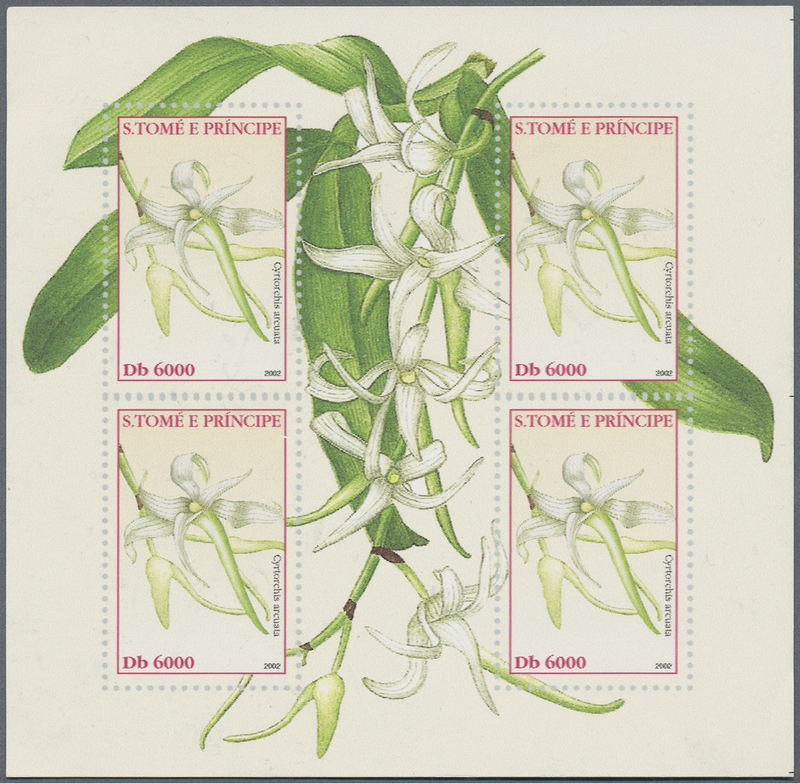 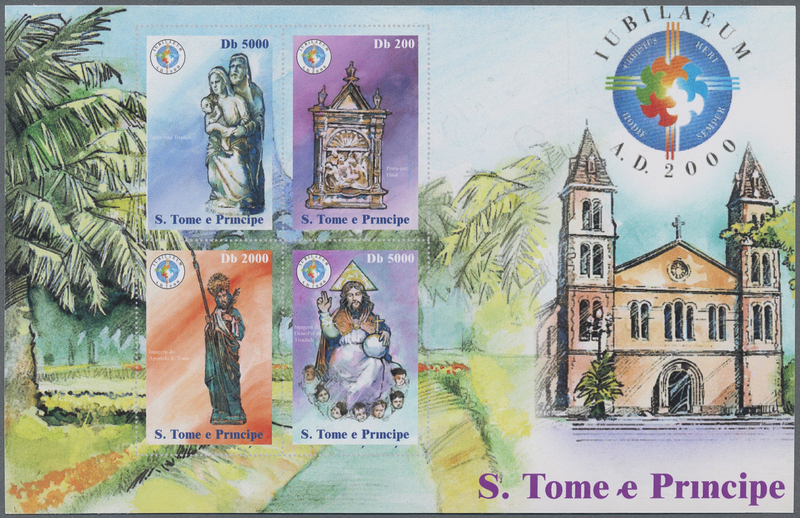 0,30" for prepayment of the postage in cash in case of unavailability of stamps and date stamp. 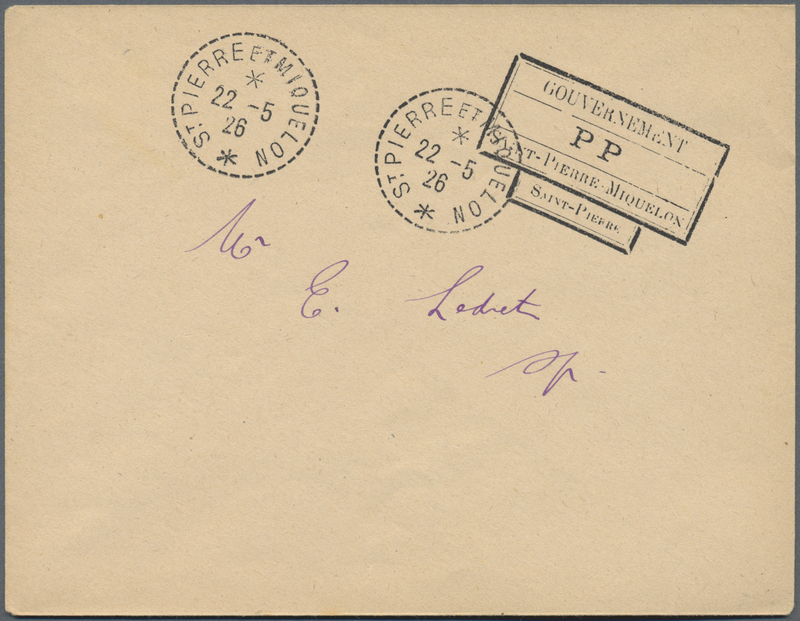 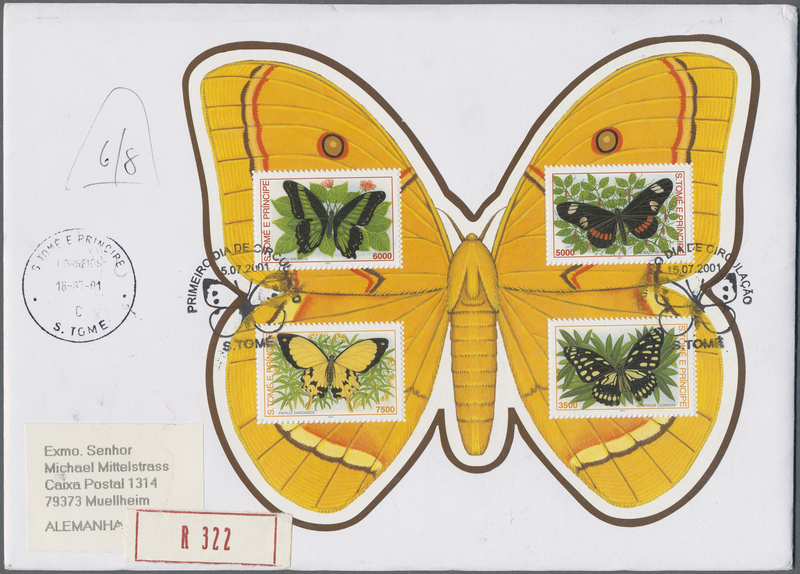 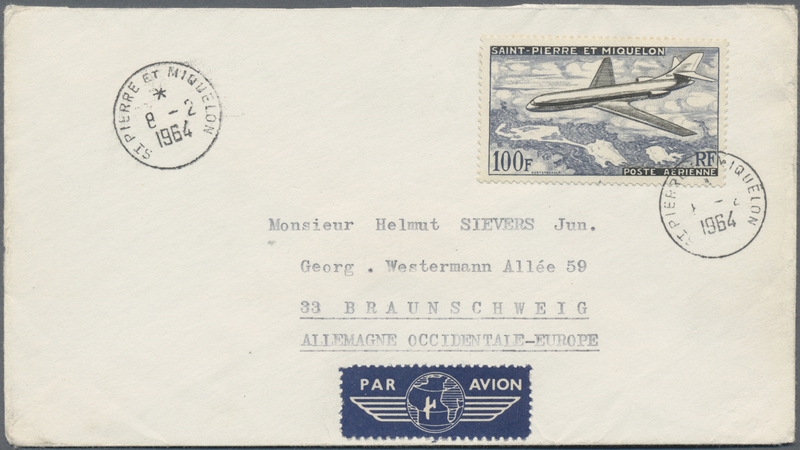 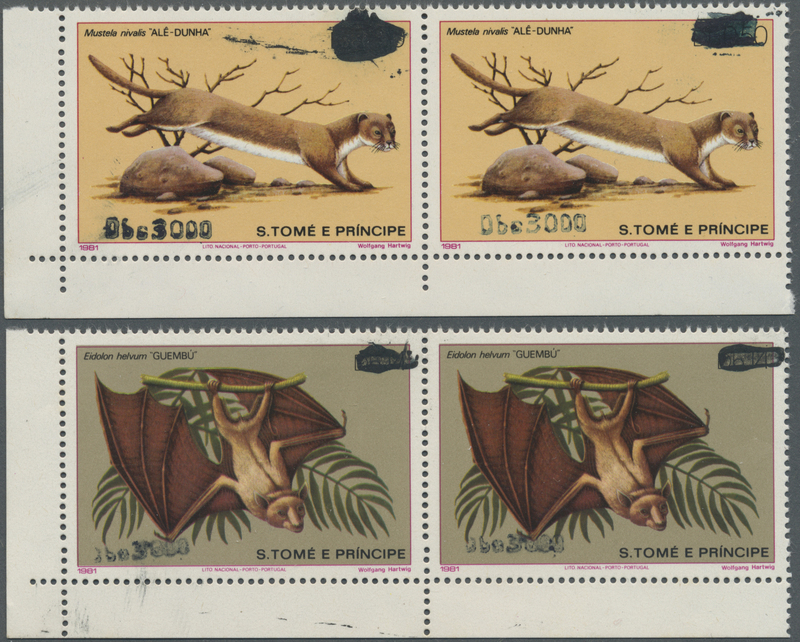 31385 postfrisch (never hinged) ** 480/81b var. 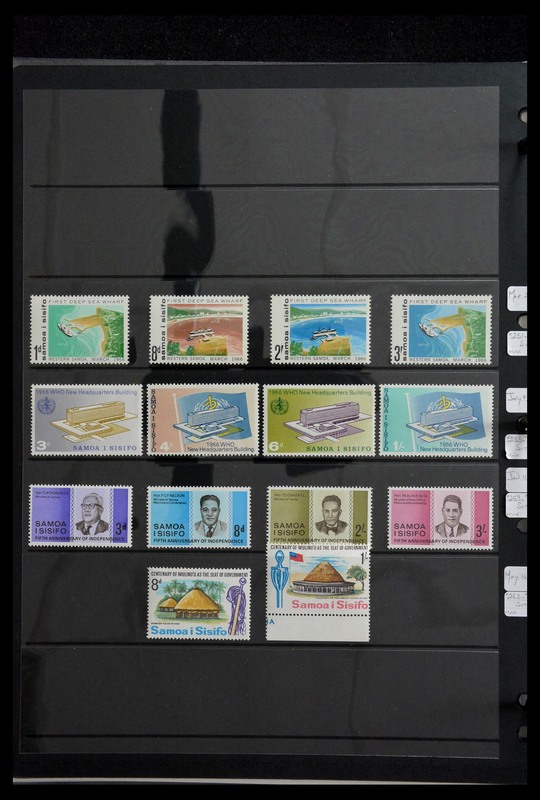 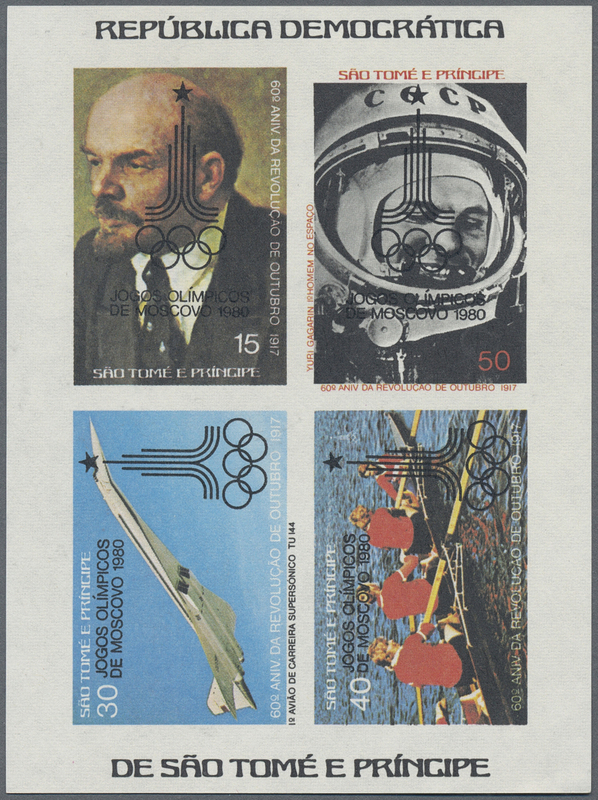 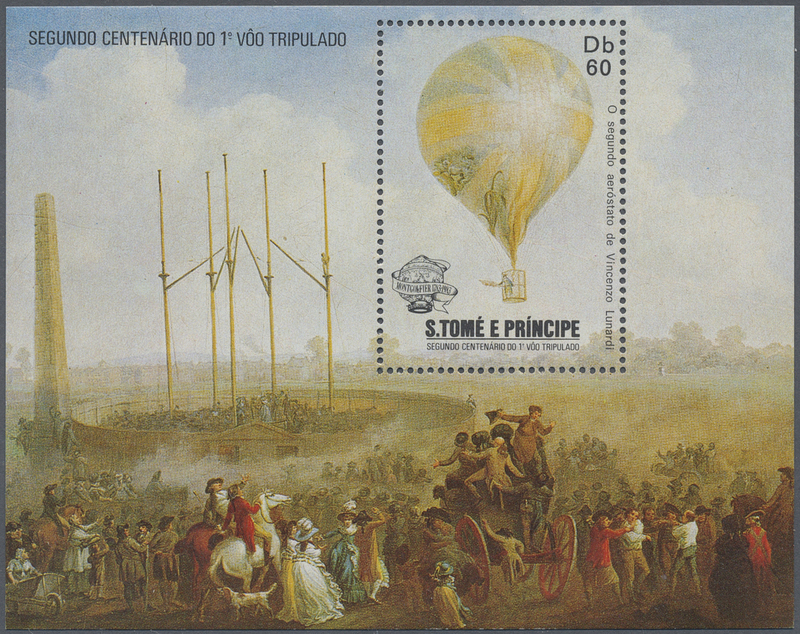 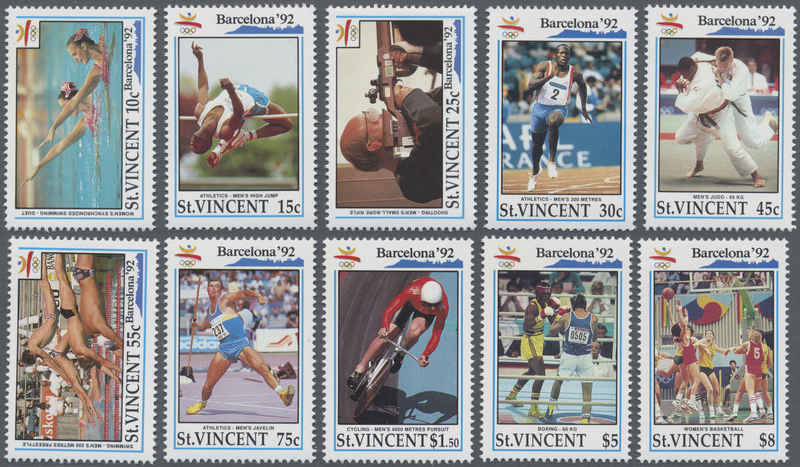 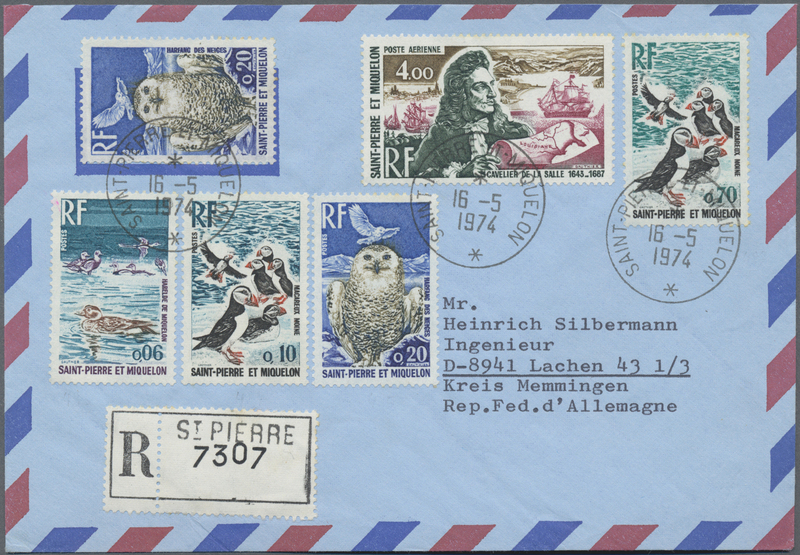 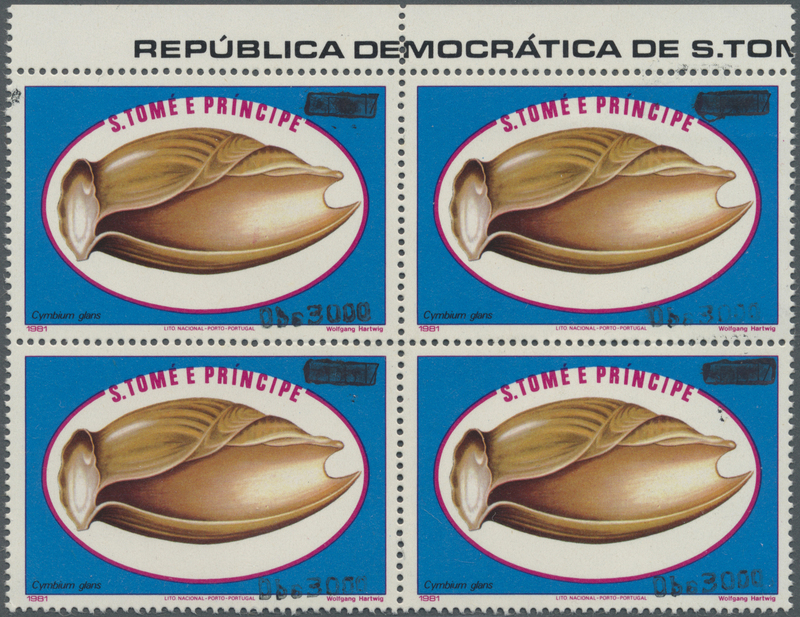 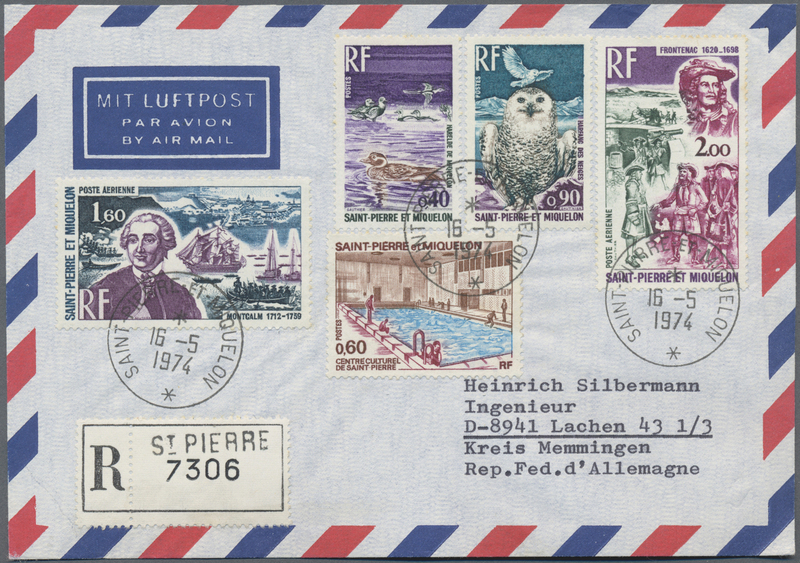 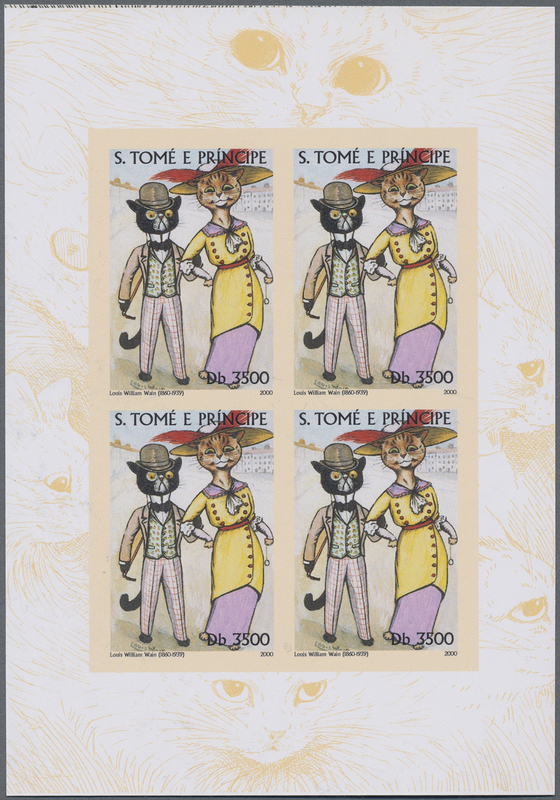 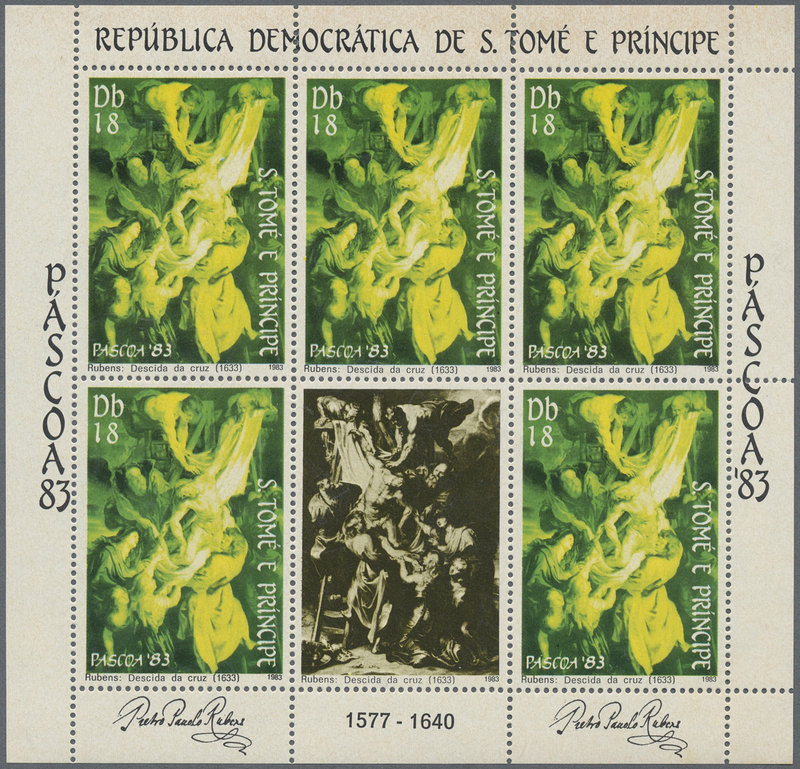 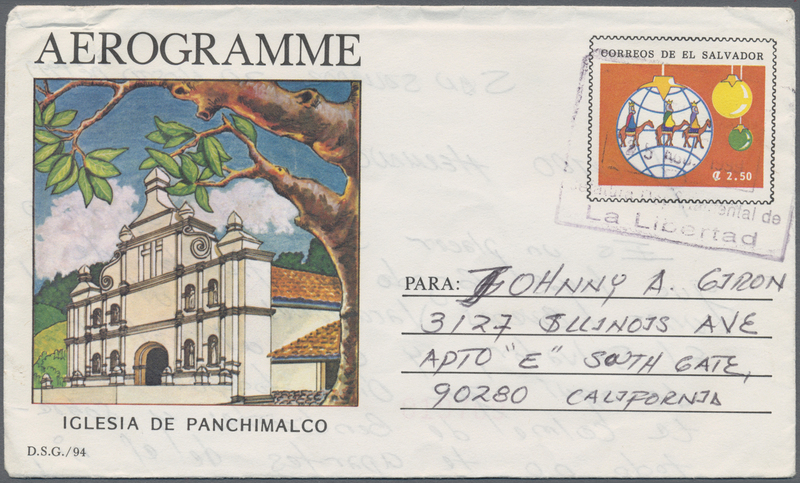 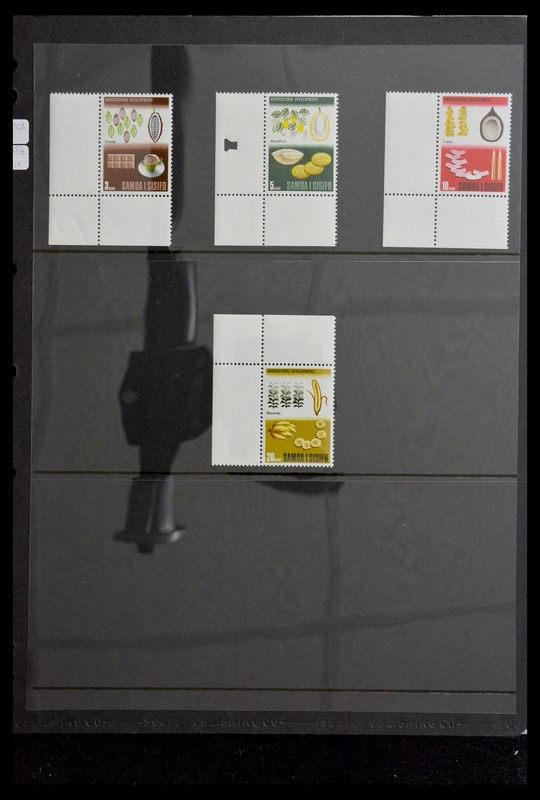 1977, Centenary of United Postal Union (UPU) 0.35esc. 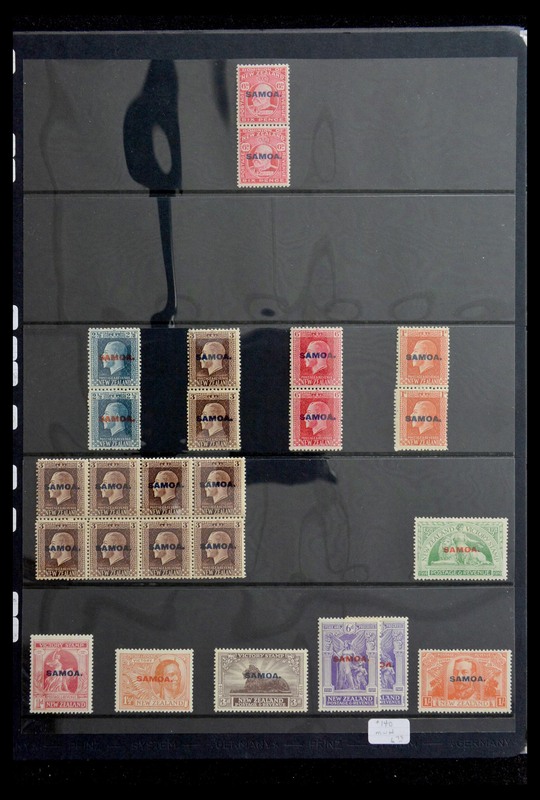 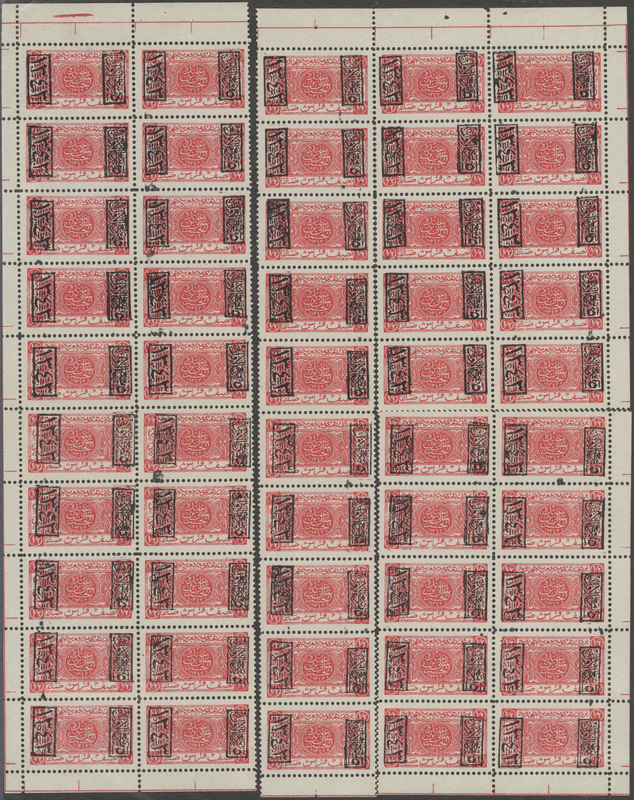 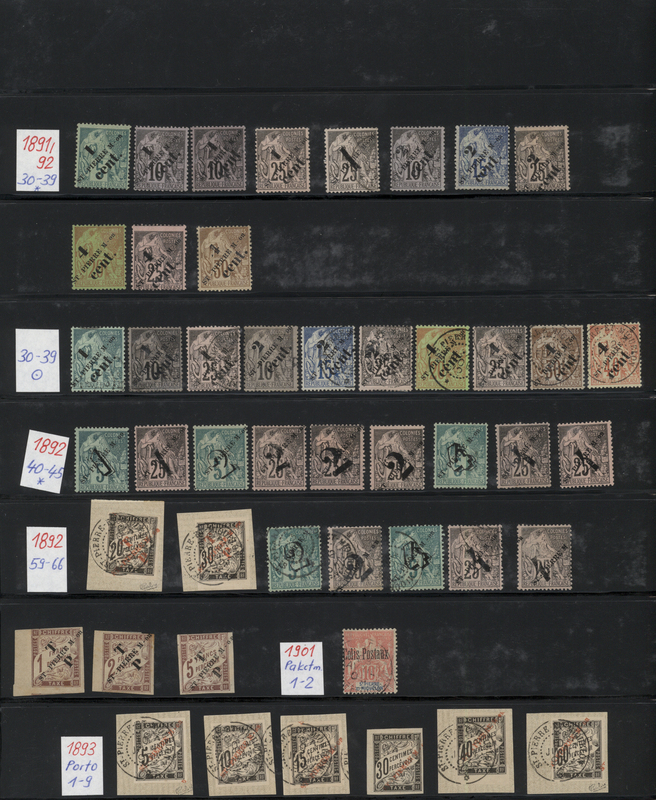 soldier with DOUBLE RED OVERPRINT of UPU logo and 'CENTENARIO 1874 - 1974 UPU MEMBRO 1877 1977' in an investment lot with 250 se-tenant pairs mostly in blocks/4 but also some larger blocks, mint never hinged and a very scarce offer, Mi. 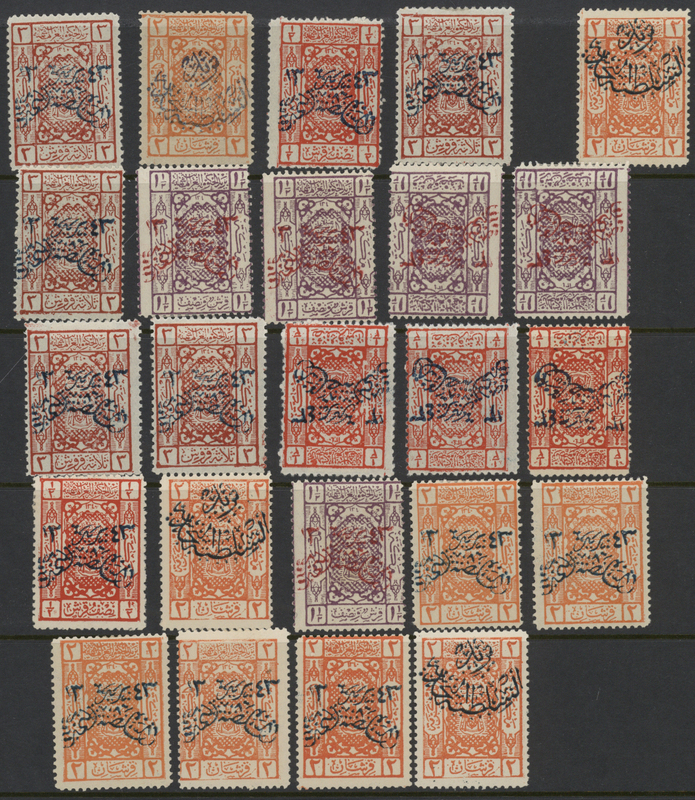 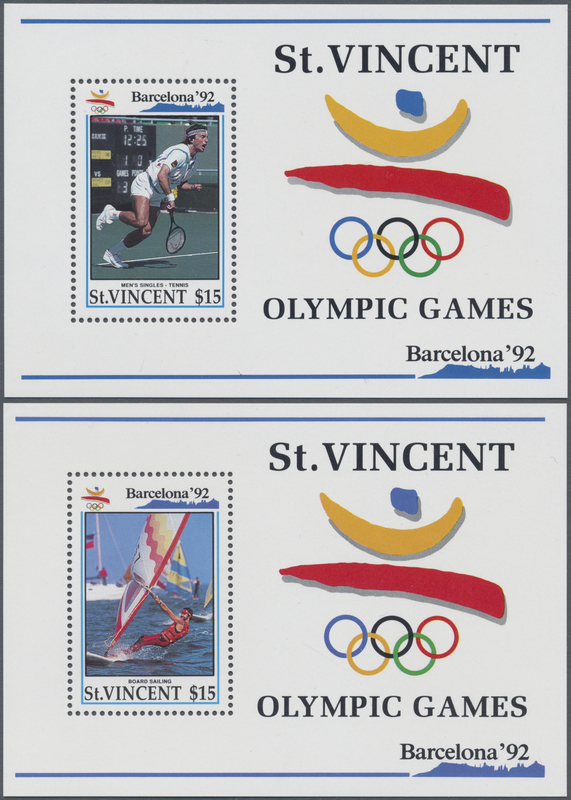 480/81b var., € 10.000,-- for the normal issue with single red opt.! 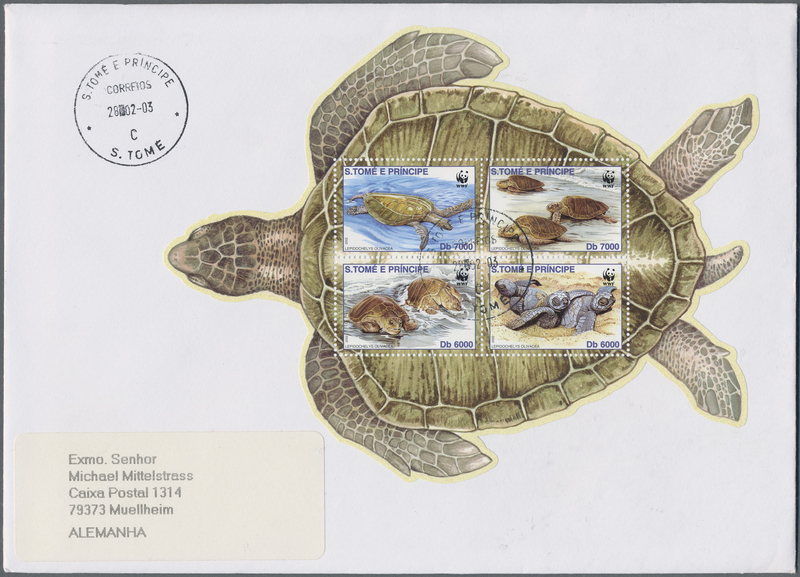 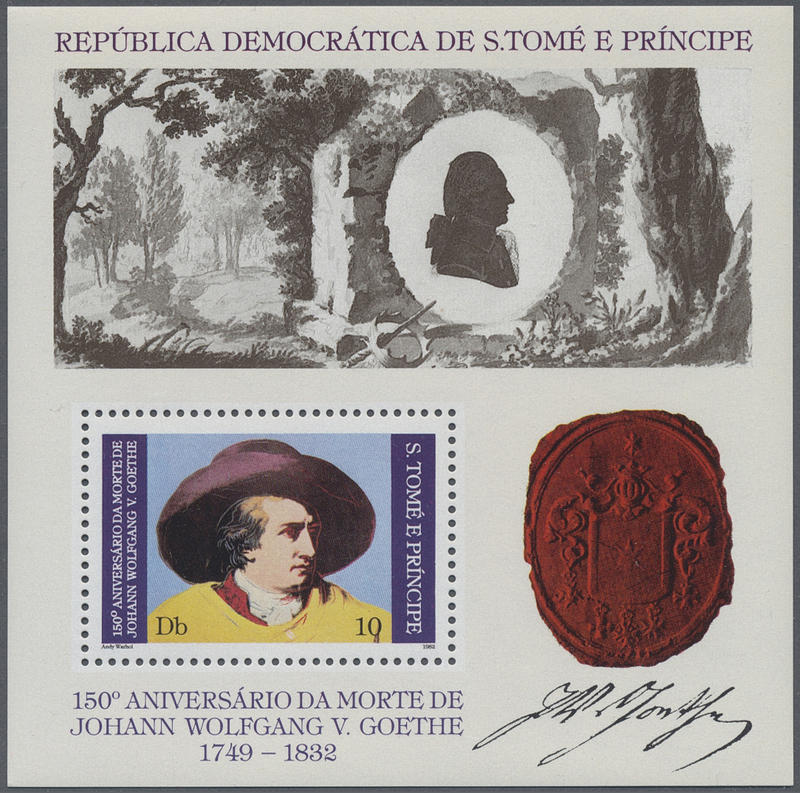 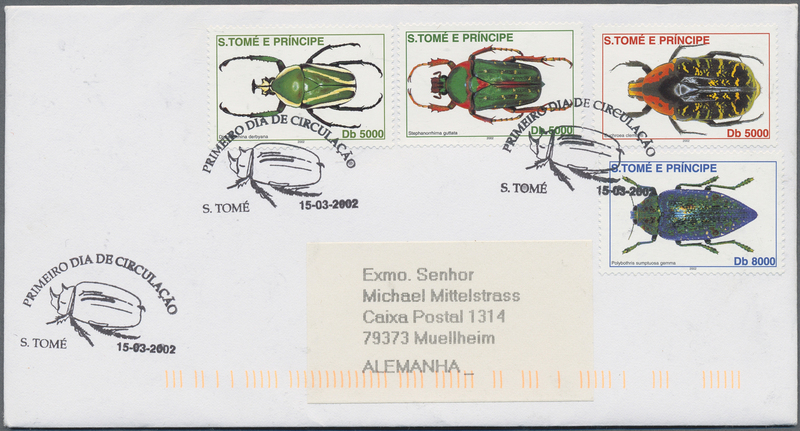 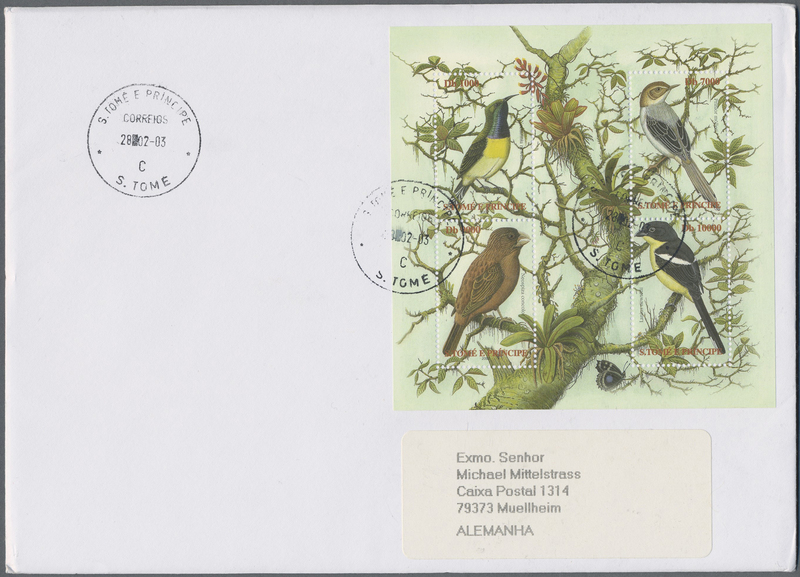 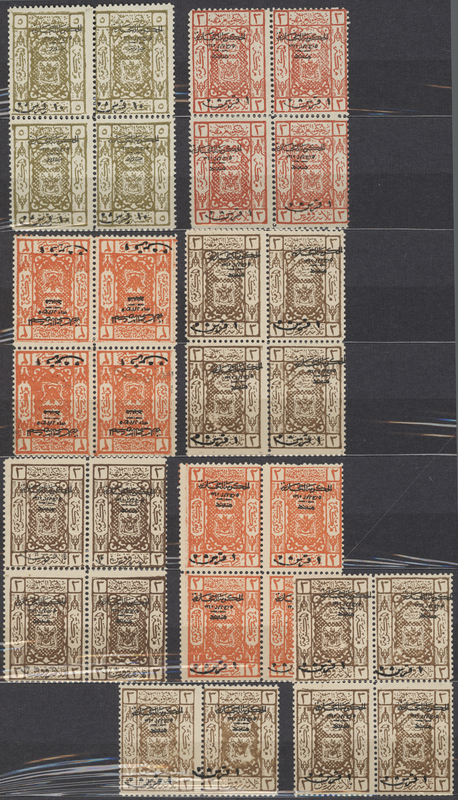 31401 gestempelt (marked) postfrisch (never hinged) ** 1867/1999: two volumes El Salvador starting with classic stamps (mostly used) and ending with modern material in MNH. 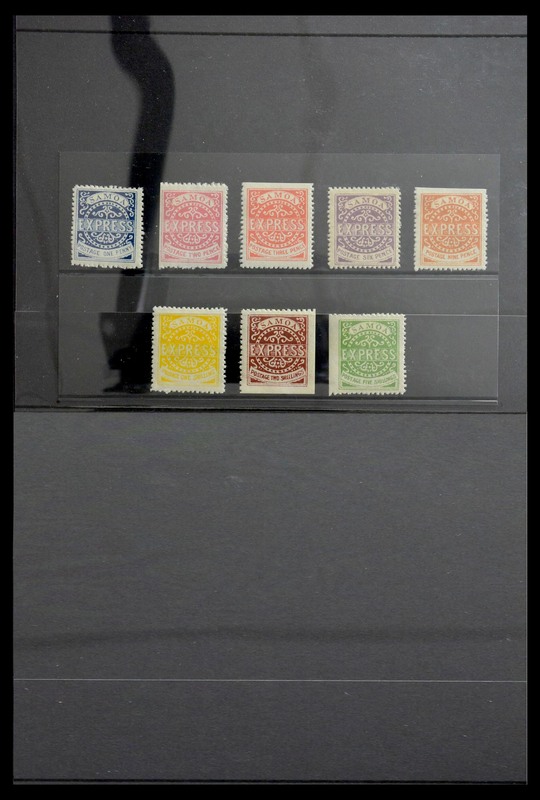 31405 ungebraucht (hinged) * 1877/98, mint collection on two old album pages inc. overprints. 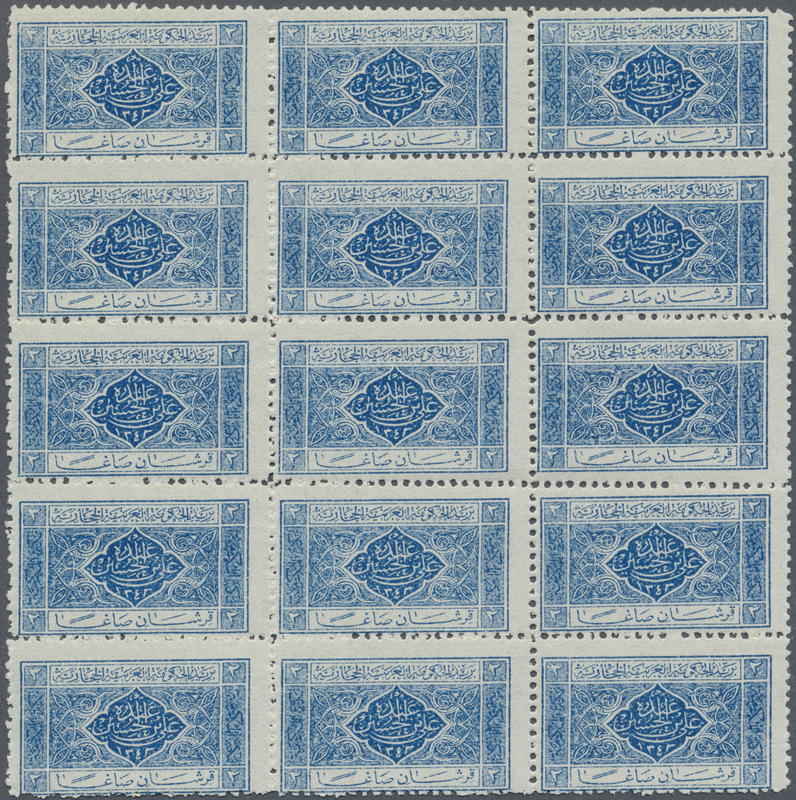 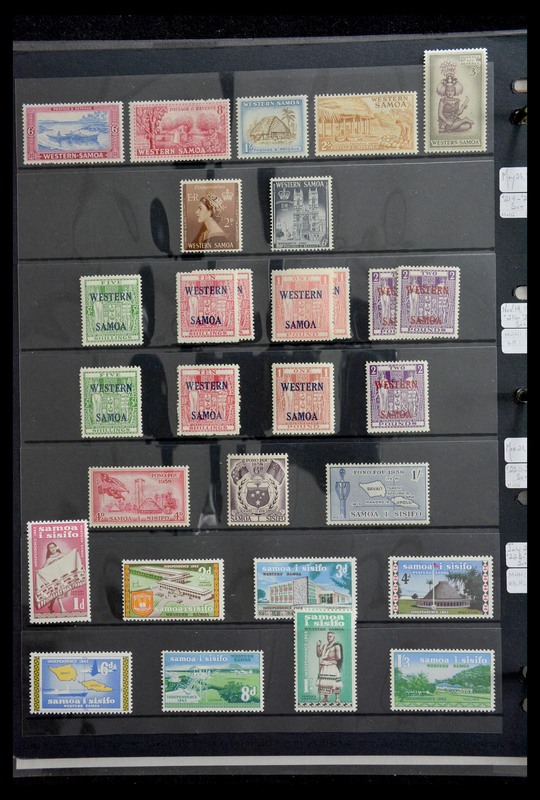 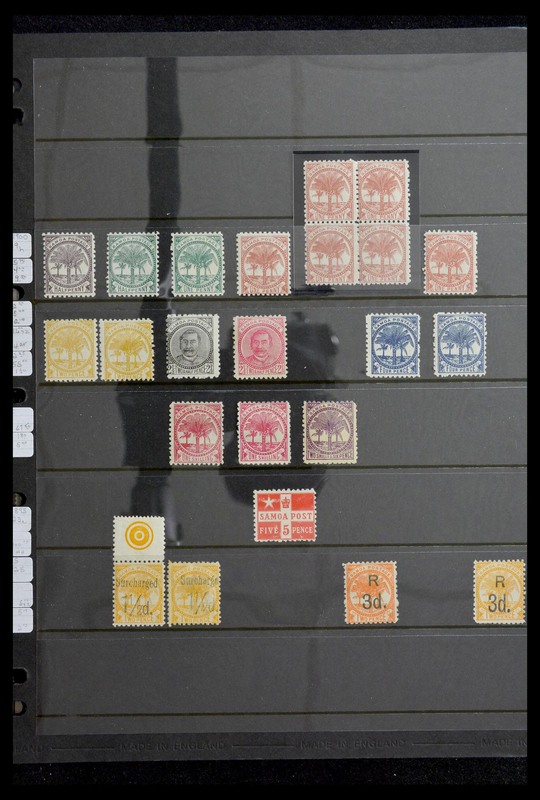 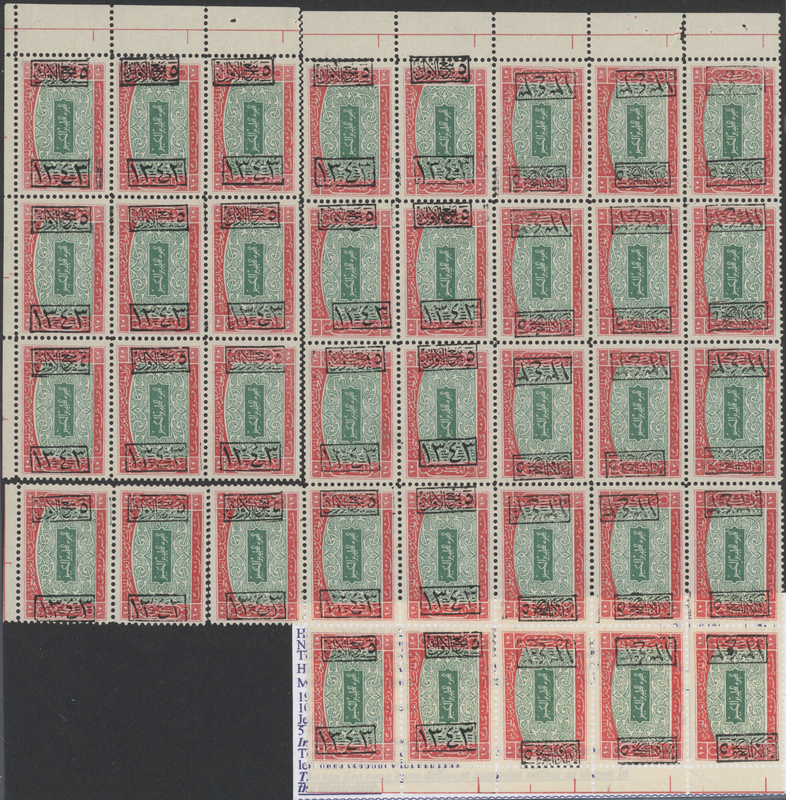 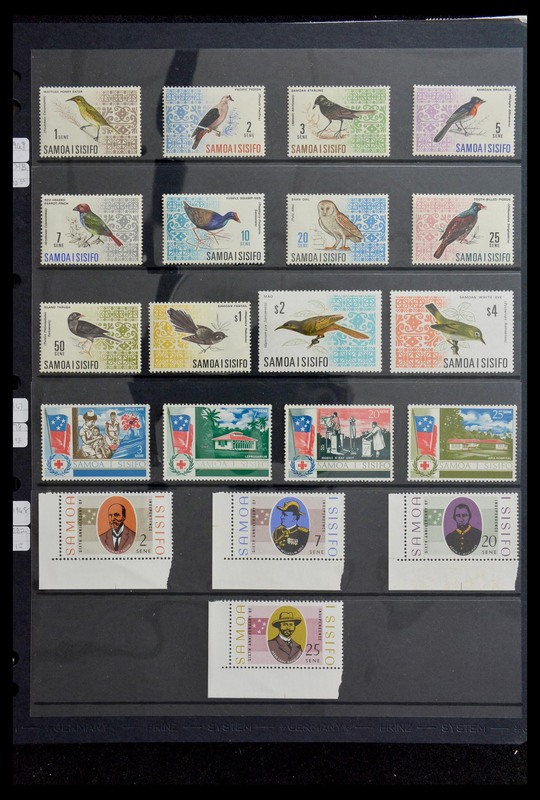 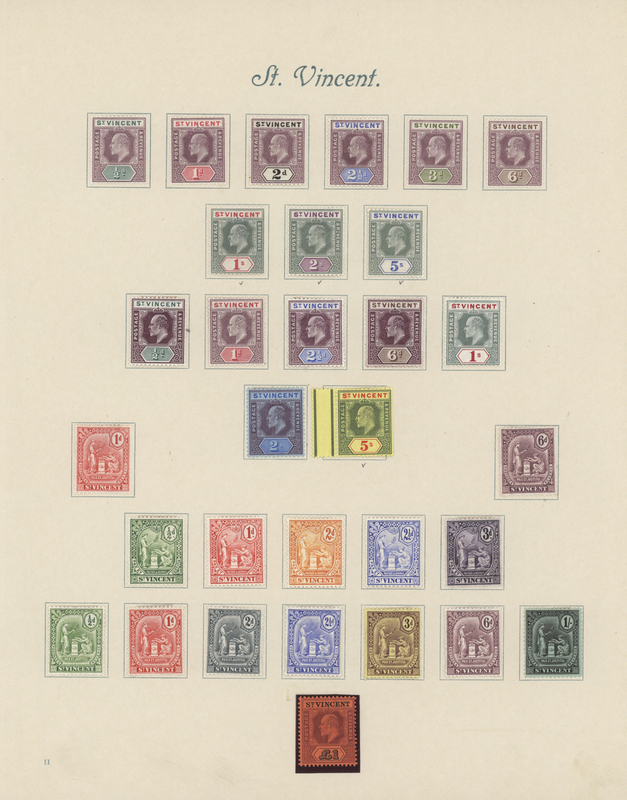 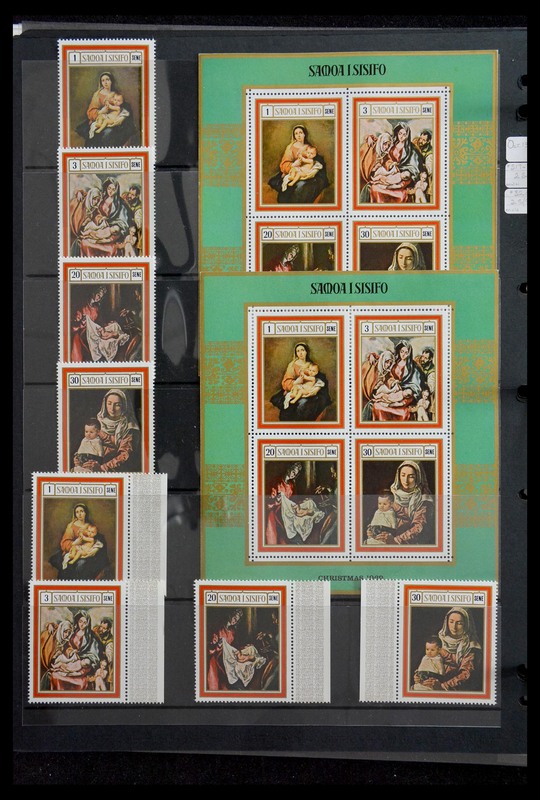 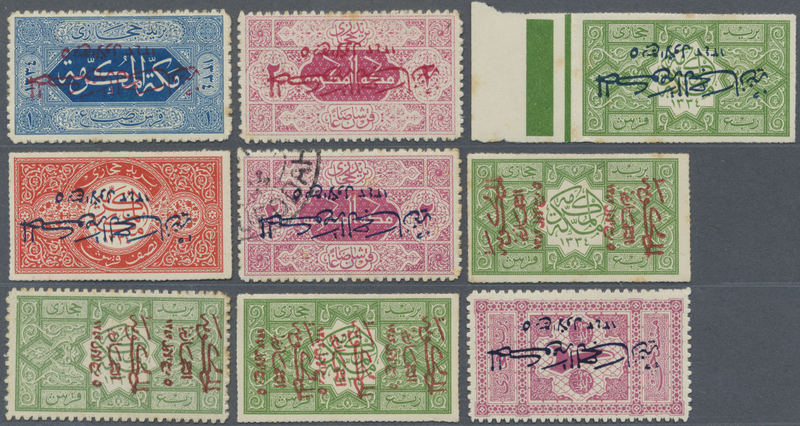 31413 ungebraucht (hinged) * gestempelt (marked) 1916-25, Hejaz collection in album bearing many overprint varieties, a wide range of types and colors, several issues showing inverted and double overprints, an unusual offer with high retail value! 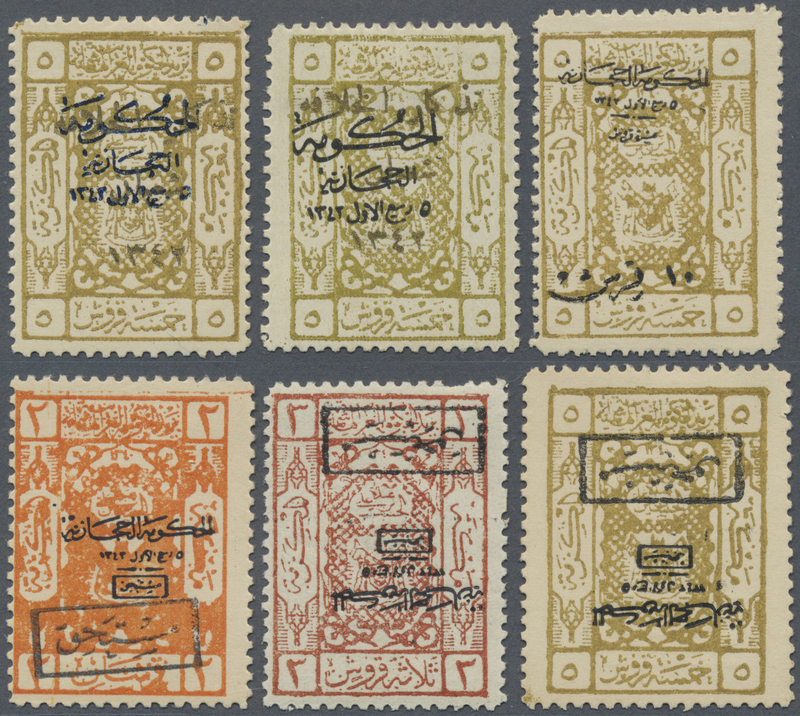 31414 postfrisch (never hinged) ** ungebraucht (hinged) * 1922-25, "Arms of Sherif fo Mecca" issue collection in album bearing a wide range of overprint types and varieties, shifted and inverted overprints, many overprints specialized in different colors, gold overprints, a nice study collection for the specialist! 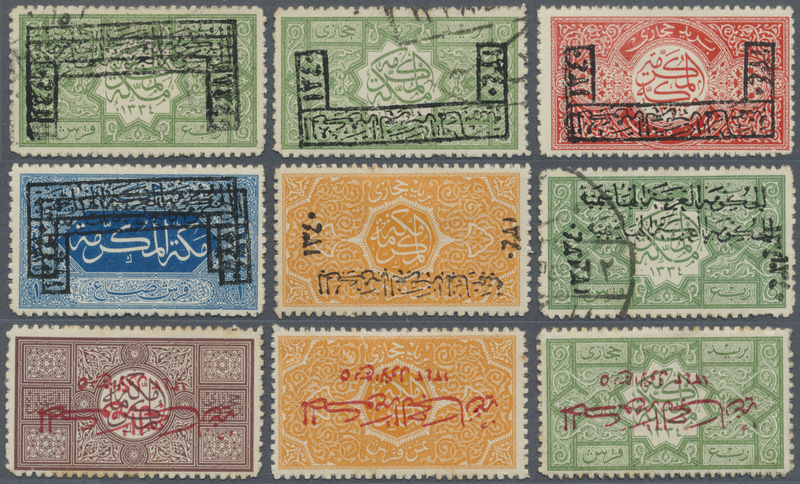 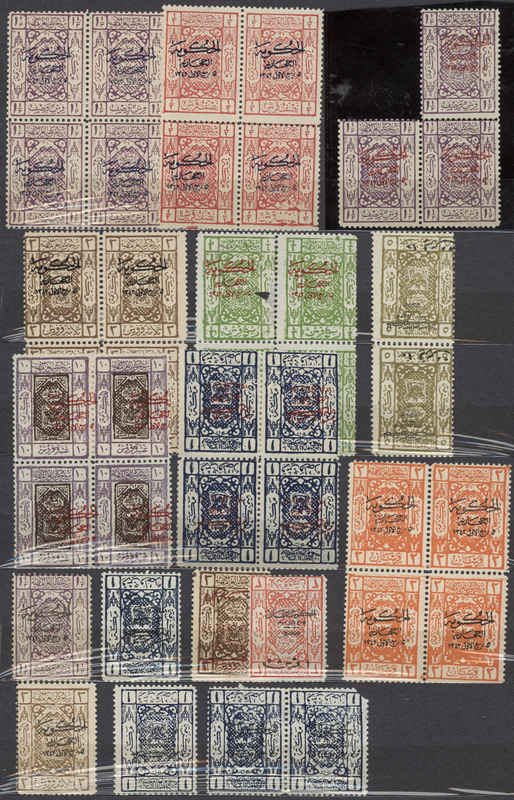 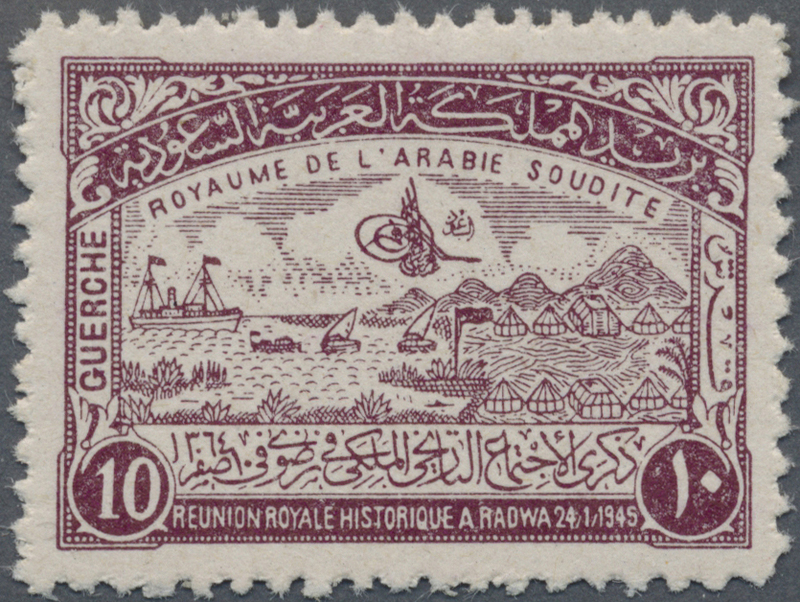 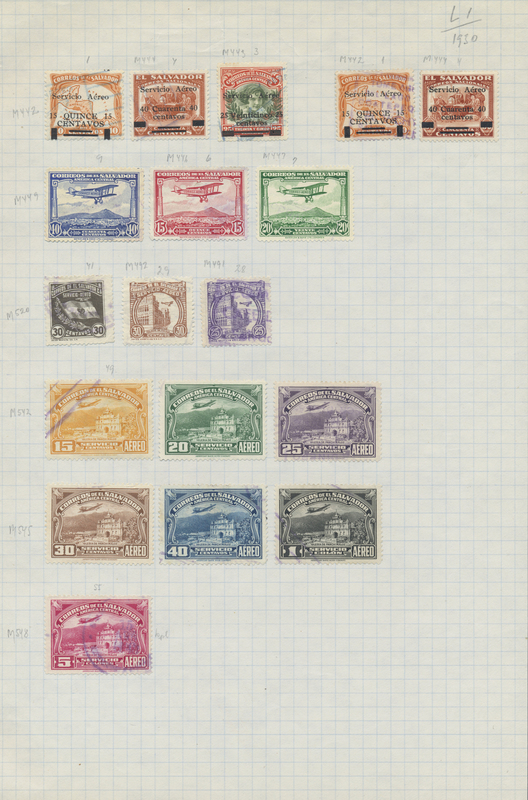 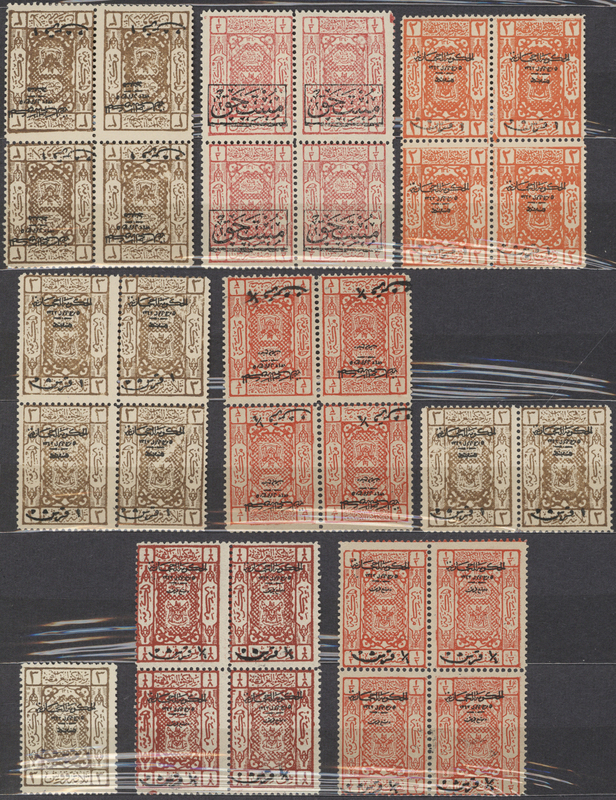 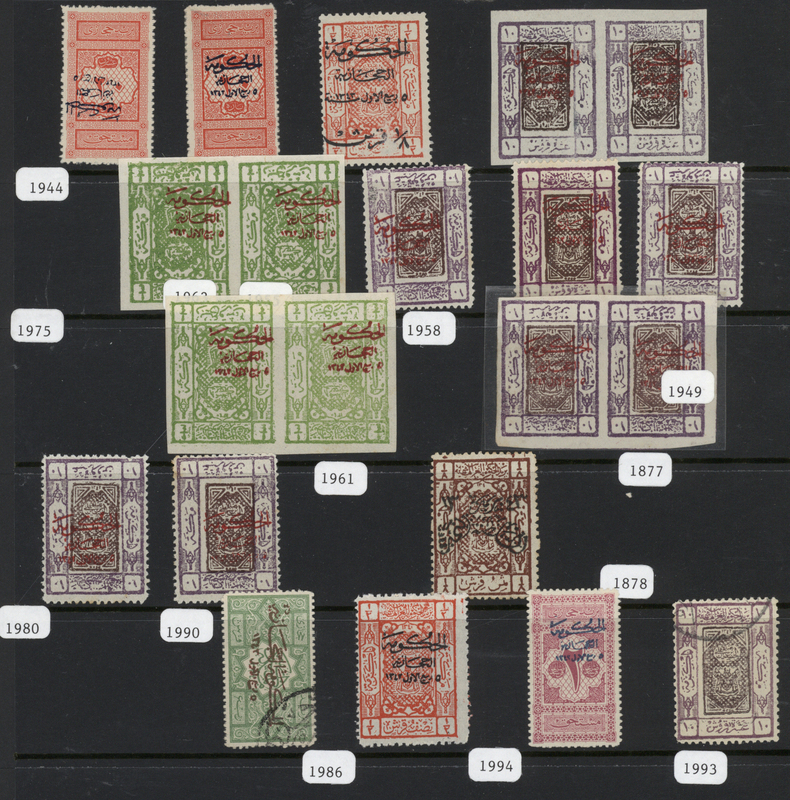 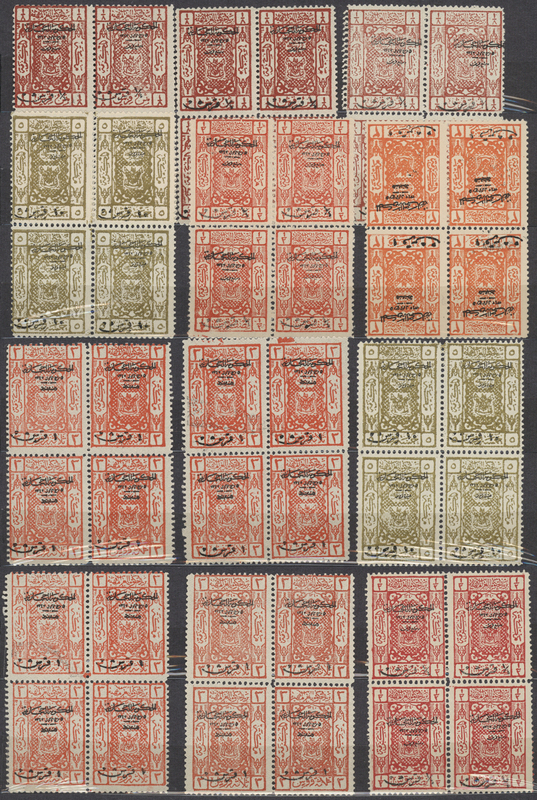 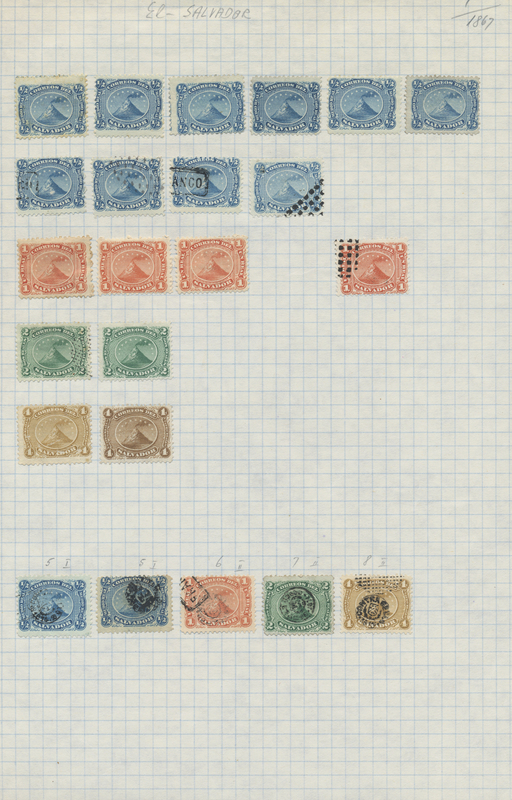 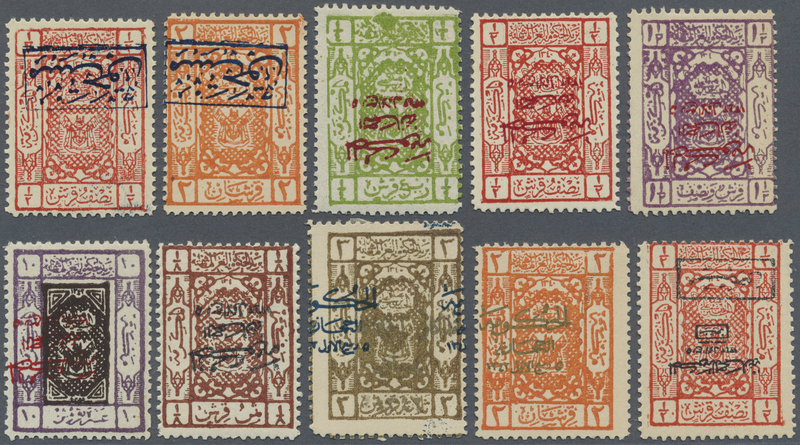 31415 P U G 1922-25, "Arms of Sherif fo Mecca" issue collection in album bearing pairs, strips of three and four, blocks of four, a wide range of overprint types and varieties, many inverted overprints, overprints in different colors, gold overprints, a nice stock for the specialist! 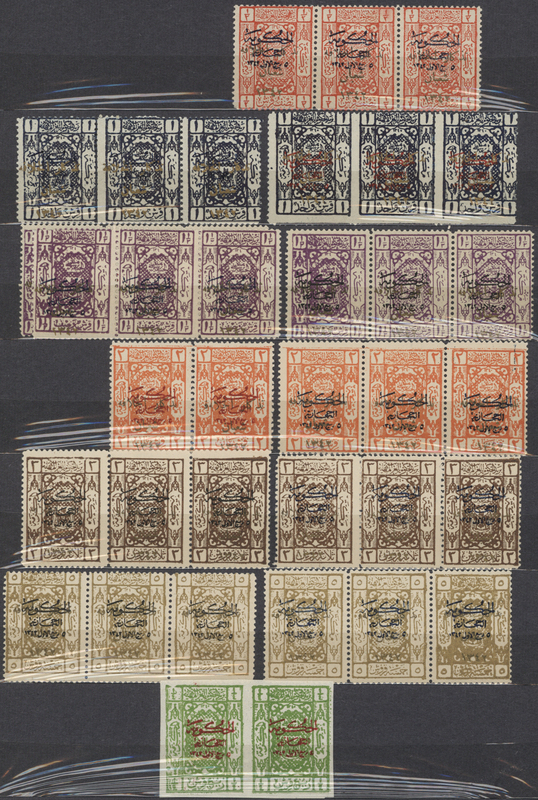 31416 postfrisch (never hinged) ** ungebraucht (hinged) * gestempelt (marked) 1922-25, Overprinted issues collection in album bearing pairs with and without overprint, a wide range of overprint types and colors, inverted overprints, a scarce offer with high etail value! 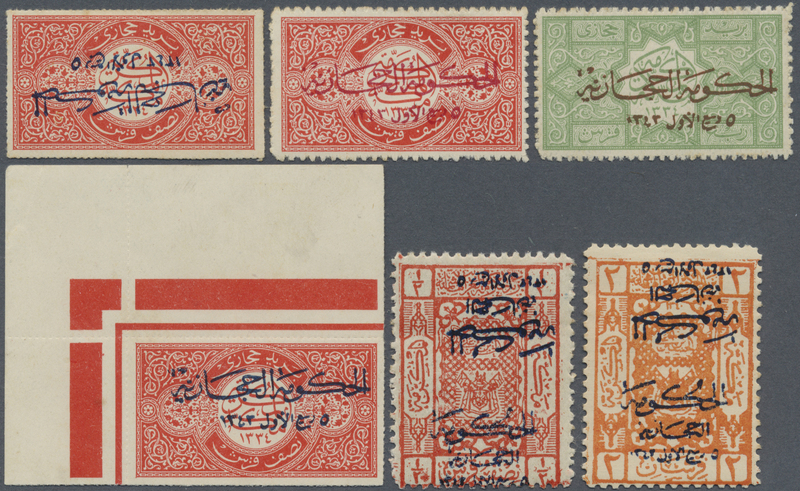 31417 postfrisch (never hinged) ** ungebraucht (hinged) * gestempelt (marked) 1922-60, "HEJAZ & NEJD" collection in album plus some later issues, bearing pairs and larger blocks, some sheet reconstructions of boxed 1343 overprints, a wide range of overprint types and varieties, inverted overprints, overprints in red, blue and gold, a nice stock to start this interesting area!